Save up to 22% over regular prices! NEWS TIMELINE — Prices and offers mentioned here are subject to expire or vary without notice — please call for latest prices! The Sinar S-CS Adapter adds Leica-S lens compatability to the Sinarback S 30|45 system. Combined with the support of the S 30|45/S-CS Adapter Kit and without the need for any tools, the Sinarback S 30|45 is easily attached to the rear of the Sinar S-CS Adapter. The Leica S (CS) lens is mounted into the bayonet mount located on the front of the Sinar S-CS Adapter. The autofocus capability of the Leica S Lens is fully maintained, thanks to the numerous electrical contacts fitted to the Sinar S-CS Adapter and the S 30|45/S-CS Adapter Kit. With the laterally integrated 1/4" and 3/8" tripod threads, the Sinar S-CS Adapter can be mounted on both tripods and repro stands. It can be operated directly on the Sinarback S 30|45 or conveniently remote-controlled via USB cable or via WLAN by the capture and workflow software Sinar CaptureFlow. Furthermore, it can also be operated without a computer via the Sinarback App on a mobile phone (iOS). For further information or for a quotation, please contact me. This promotion offers a price advantage of up to 18% on usual prices. The above promotions are valid until 31 July 2018. Applications such as the digitisation of artwork, Reprography and Scientific photography require very accurate colour reproduction. 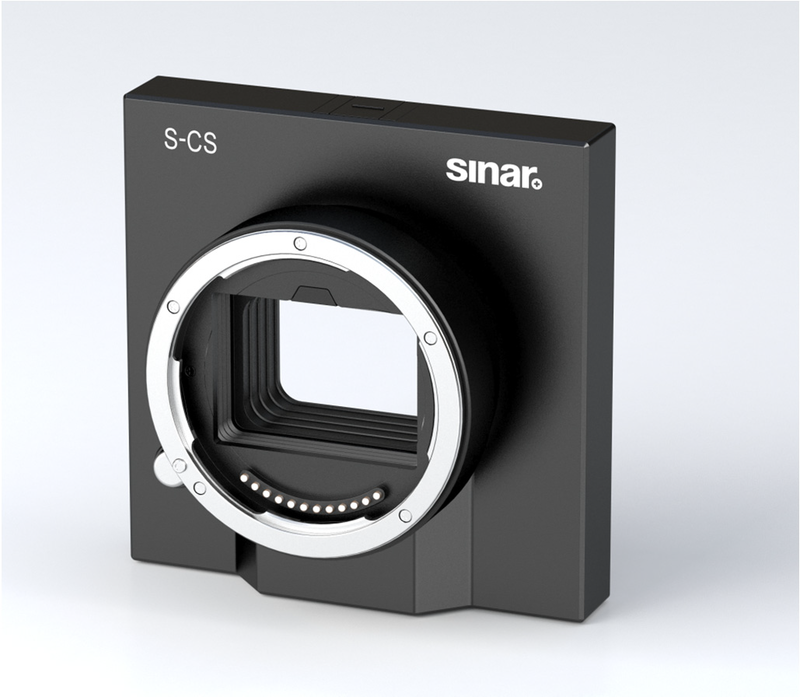 With the Sinar CTM dual-pass filter system, Sinar has redefined colour accuracy in digital photography. This system allows reproducing the entire colour spectrum perceivable to the human eye with absolute precision. 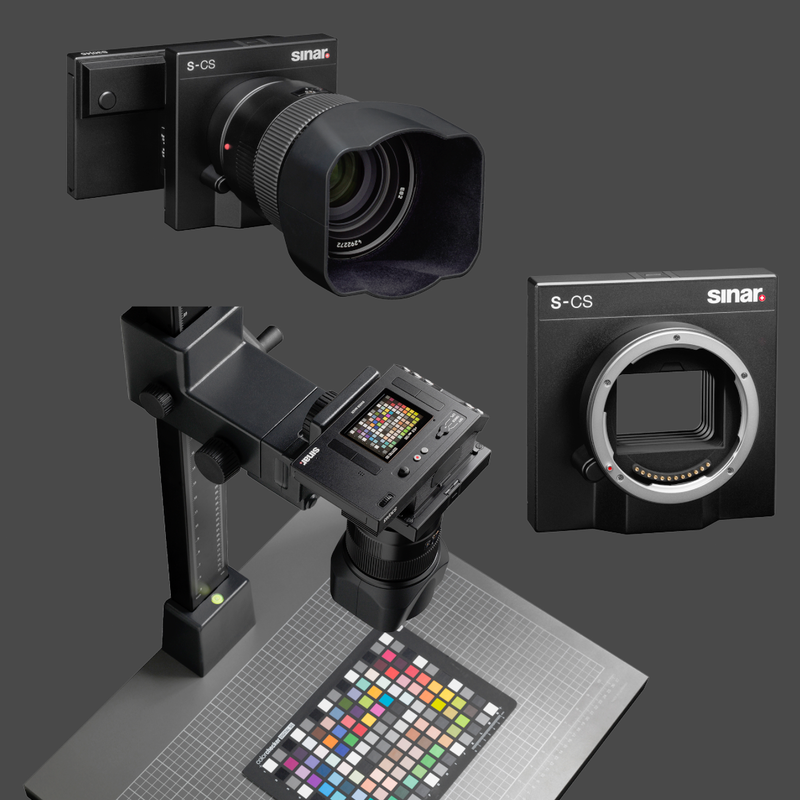 The Sinar CTM system, together with the Sinar rePro, combine superior colour accuracy thanks to the use of its exclusive 2-pass RGB multispectral digitisation method, whilst also providing a very simple, wizard-based and productive workflow for such a specialised digital camera system. 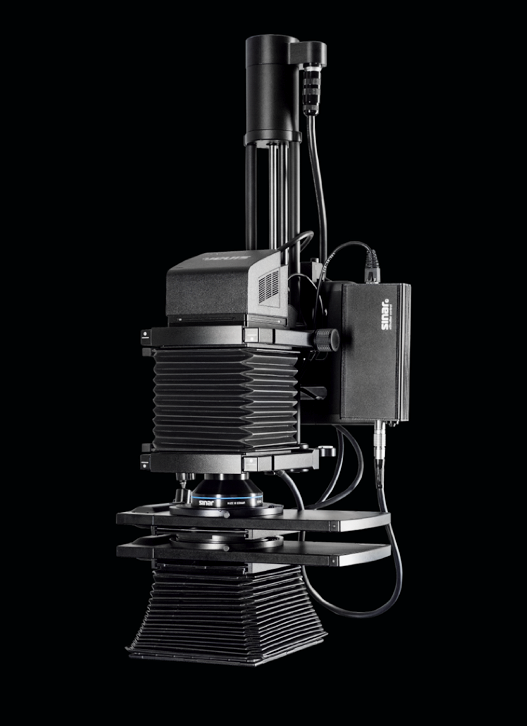 Institutions such as museums, Art Galleries and Libraries are the primary market for the Sinar CTM system. 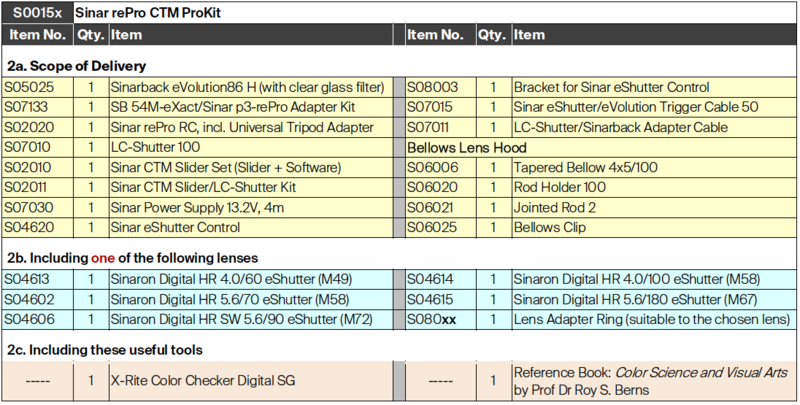 The following table gathers all the components required into a new kit called the Sinar rePro CTM ProKit. When ordering a Sinar rePro CTM ProKit, please choose one lens listed in section 2b and it will be included at no additional charge. 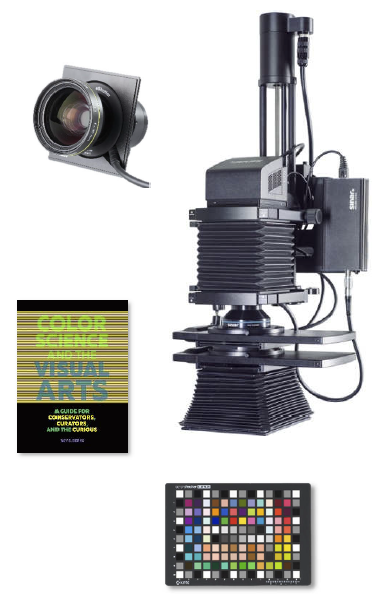 To round off the set, also for no additional charge, Sinar adds some important accessories such as the Bellows Lens Hood, the X-Rite Color Checker SG, and a reference book which is sure to become a standard work on colour reproduction; “Color Science and Visual Arts” by Prof. Dr Roy S. Berns, Rochester Institute of Technology, Munsell Color Science Laboratory, Rochester, NY USA. if you image the colour that is there." + the two tools listed in section 2c. When ordering a Sinar rePro CTM ProKit, please state which lens you would like to receive with it. The order number for the CTM ProKit is S0015x, however, on our Order Confirmation, the “x” will be replaced with a digit that will vary depending on the actual lens ordered with your ProKit. When ordering this CTM ProKit as a kit, instead of its single components, the above price of this package corresponds to a price advantage of approximately 8% to 12%, depending on the lens chosen. All prices are subject to vary without notice. Please contact me for the latest price, more information or a demonstration. Enter professional photography with a Sinar p3 Starter Kit and profit from very attractive price conditions. The Sinar p3 Starter Kit PLUS perfectly suits a comfortable remote operation via Mac computer. Thanks to its LiveView, the image adjustment and viewing can be carried out conveniently on a large, clear screen. The sturdy Sinar LanTec Camera has been designed as a perfect and easy-to-use tool for landscape and architectural photography. Together with the mobile Sinarback S 30|45 and the Sinar eControl, it is the ideal team to work on-location and in the studio without a computer. This package offers a price reduction of approx. 20%. For further information about the above Kits, or for a demonstration. Buy a Sinarback S 30|45 at list price and receive a Sinar p3/lanTec/rePro camera Adapter Kit, a Trigger Cable, a Sinar eShutter Control and a Bracket to attach the eShutter Control to the tripod, all included in the price. However, in the event you prefer to receive the NEW and mobile Sinar eControl instead of the current Sinar eShutter Control, simply pay the difference in price between the eShutter Control and the new Sinar eControl units. You want to use your professional high-end lens but it’s no longer state-of-the-art? No problem! With one of the above promotions, you can convert your first Sinaron Digital or Schneider Digital Lens to a new eShutter 250 free of charge, or update your lenses – independently of the above promotion, with a discount of 10%. (more detail in the Q&A section below). Which lenses can be converted? What is meant by 'Conversion'? Send any of the lenses mentioned in the section above to Capture Scan Print and in due course receive your lens equipped with a Sinar eShutter 250 and mounted onto a 100 mm Lens Board. Lenses with a focusing mount sent for conversion will naturally retain their helical focusing mounts. What is the idea behind the Voucher? With the above promotion bundles, you will receive a voucher granting the bearer of that voucher one conversion, as described above, free of charge. In order to get the conversion to be performed free of charge, the above-mentioned voucher must be sent to your local Sinar reseller together with the respective lens. If the voucher does not accompany the lens, we are sorry, but the conversion cannot be performed free of charge. For further information or for a tailored offer to suit you, please contactme to take advantage of this promotion to obtain genuine discounts of more than 20% when compared with current prices. The above promotions are valid until 31 March 2018. Now you can control your Sinar eShutter autonomously, without the need for a computer. We are pleased and proud to present you the Sinar eControl. The Sinar eControl is the successor to the renowned Sinar eShutter Control that was introduced in 2012.
controlled by the Sinar eControl without a computer. Thanks to its long-lasting rechargeable and replaceable lithium-ion battery, the Sinar eControl, together with the Sinar eShutter, can now fully replace the mechanical Copal Shutter, which is no longer being manufactured. 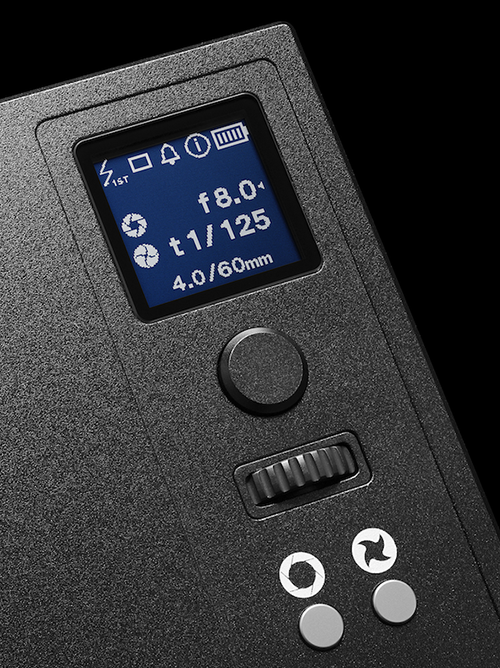 Yes, with the Sinar eControl and lenses with an eShutter, Architecture, Landscape, or Studio captures can now be taken independently of the availability of mains power and a computer. Sinar eControl mounted on the tripod of a Sinar p3 Camera with a Sinarback S 30|45 and a Sinaron Digital Lens with eShutter. Thanks to the transflective LCD-display, all information can easily be read even in bright sunlight. When connected, the lens is automatically recognized and indicated on the display. The desired aperture and exposure times are quickly set by means of a control wheel (turn and click). For image control with the live image, the shutter is opened and closed at the push of a dedicated button. Similarly, if necessary, the aperture can be switched from working aperture to fully open and vice versa, just by pushing a second button. The respective status of aperture and shutter are shown on the display. When everything is set, the capture is taken by pushing the release button on the Sinar eControl. And to prevent undesired surprises the battery charge is constantly monitored and displayed. Besides taking single exposures or multi-exposures, bracketing functions can be selected. There's also a timer available. To perfectly synchronize third-party digital backs, a pre-delay time can be set. The flash can be set on early or late, or be switched off completely. A hot-shoe accepts any standard transmitter to remotely trigger the flash unit; alternatively, the flash pack can also be released via a sync cable that is connected to an x-sync socket. Further sockets allow the connection and triggering of a third-party digital back, a hand-release cable, or a USB cable. On the rear, a 3/8”, and a 1/4” tripod thread allow for a comfortable fixation of the Sinar eControl to the camera tripod via the addition of the Sinar eControl Mounting Bracket (S08003). By operating the unlocking slider, the battery can easily be replaced at any time. To meet the multitude of Users' preferences, the Sinar eControl can be operated and controlled in different ways and configurations. All images can be captured without the need of any computers or mobile smart devices. Everything is controlled and all parameters are set on the Sinar eControl, and the image data is stored on the digital back. To capture images, the Sinar eControl is connected with a computer via a USB cable. (Mac/Windows). All image data is stored on the digital back or on the computer. To capture images, the Sinar eControl is connected with a computer via a USB cable. Everything is controlled and all parameters are set on the Sinar eShutter Control App (mobile) that is installed on a smart mobile device (iOS/Android), and, alternatively, from the Sinar eShutter Control App (desktop) that is installed on a computer (Mac/Windows). All image data is stored on the digital back or on the computer. Everything is controlled and all parameters are conveniently set on the capturing and workflow software Sinar CaptureFlow that is installed on a computer (Mac). All image data is stored on the digital back or on the computer. downloaded from the CSP website. There's also a short instuction manual available too. 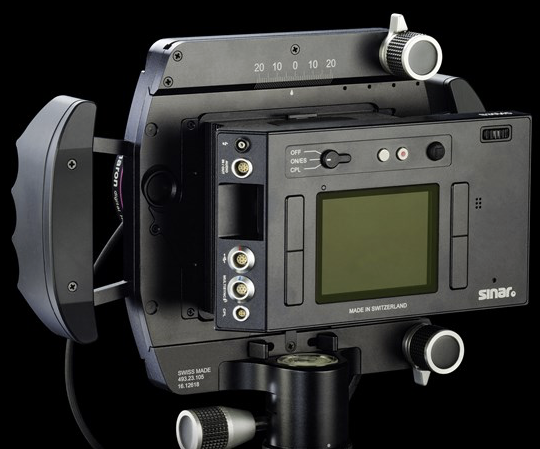 1 x S04630 Sinar eControl $3,985.00 inc. GST, subject to variation — Please call for latest price. Please call for latest prices. · Please note. In order to remote-control the Sinar eControl via software, CaptureFlow version 1.5.1 and higher is required. · To remote-control the Sinar eControl from an Apple computer by means of the Sinar eShutter Control App, Sinar eShutter Control App version 2.3 and higher is required. Both programs can be downloaded from Sinar's website. The robust and precise Sinar lanTec camera that's designed as a perfect and easy-to-use tool for Professional landscape and architectural photography. high-resolution and high-contrast LCD-display which can be perfectly viewed, even in bright daylight. Thanks to its long-lasting on-board battery, untethered creative work can be done all day long. One Sinaron Digital CEF fully mechanical lens, with integrated focusing mount, which is optimally designed for digital photography, either outdoors or in the studio. For a limited period of time, we offer you these three workhorse items as a promotional bundle with a discount of between 8% and 10%, depending on which lens you choose. When you purchase a complete bundle consisting of a Sinar lanTec camera, a new Sinarback S 30|45 digital back and one Sinaron Digital CEF lens of choice, you'll save EUR 2730 off Sinar's suggested price. bundle you choose, there'll be a promotional price reduction for all options of EUR 2730. The promotion ends on 30 June 2017. For additional information about this offer, please contact me. Prices may be subject to change without notice due to currency variation or for reasons beyond my control. Your old used digital back is worth up to 9400 Euros! Save up to 20% off list price. The Sinarback S 30|45 provides maximum flexibility. 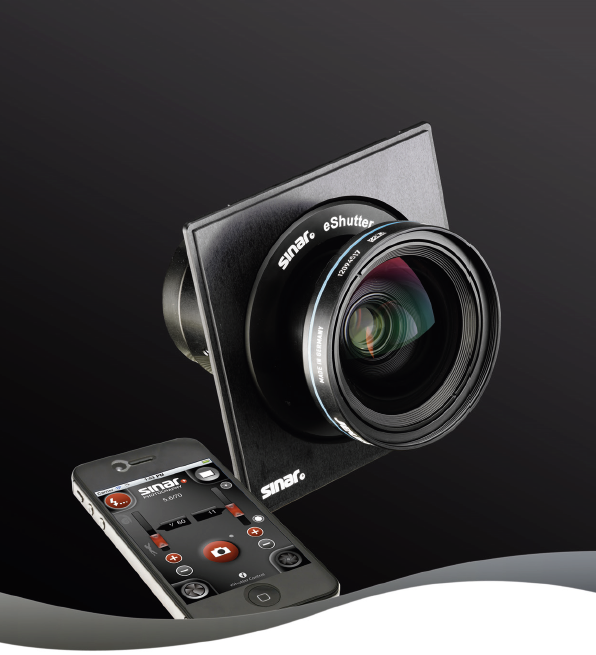 It was designed for mobile use and is ideal for use with the mobile Sinar lanTec camera. The Sinaron CEF Digital Lenses meet the highest quality standards. They are made for digital photography, allowing you to capture with maximum definition, high contrast and outstanding color accuracy. The sets offered allow your choice of lens and contain all required Accessories. * Prices may be subject to vary due to unforseen fluctuation of the Australian Dollar or other changes beyond my control. Please contact me for current prices or more information. The S 30|45 is a mobile Sinarback with 3" Display for outstanding Single-Shots and Video applications. Product Launch at Photokina Cologne 20 – 25 September 2016. 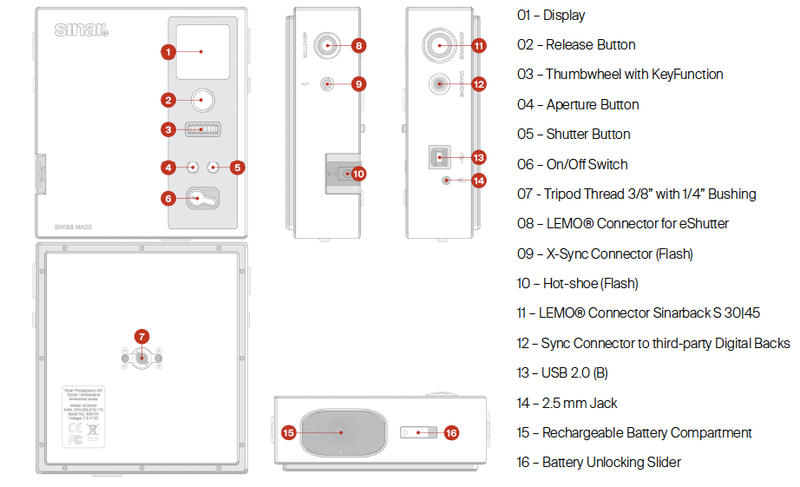 The above image shows the back's numerous connectors, OFF-ON/ES-CPL mode switch, LiveView & Record-Video buttons, Joystick and Navigation Wheel. In addition, there are four Soft Keys which can be assigned custom functions. 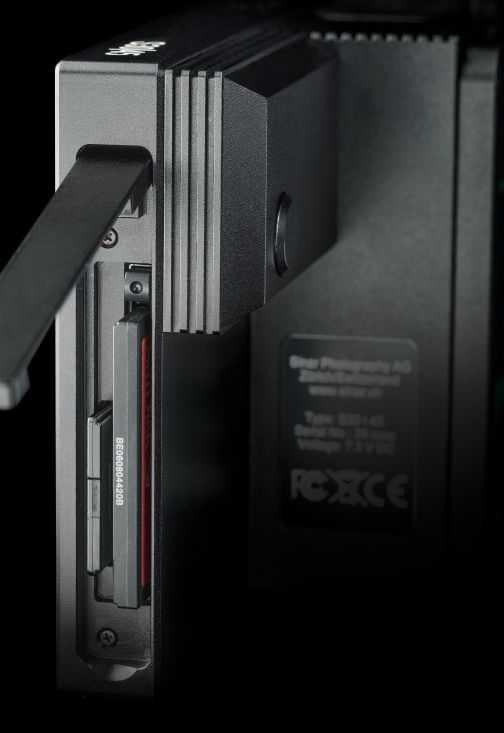 There's a HDMI-Out connector located inside the recess of the back's angled left side, this is also where the USB3 connector resides. Back shown without Adapter Kit. At launch there'll be a sinar p3 / lanTec / arTec Adapter and a month or so later the S-CS Adapter. The new Sinarback shows the perfect symbiotic collaboration between Sinar and Leica. The 37.5 MP CMOS sensor rapidly realizes your one shot captures. 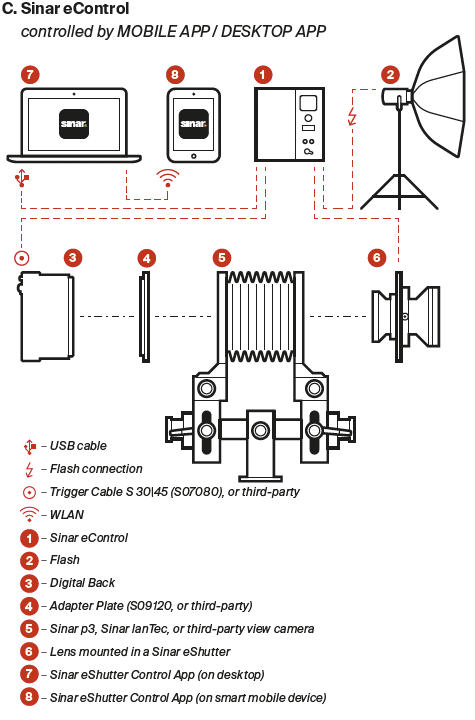 When shooting tethered with Sinar CaptureFlow—your data is stored directly on your Mac via USB 3.0. At any stage and light situation, the high-resolution 3“ display guarantees the perfect view. With Live View, it provides compositional and critical focusing feedback, as well as image review and navigation. WLAN offers the option of comfortable operation with an iPad. The top image shows the easy access Battery Slot. The image above shows the cover-protected Dual Card Slot. Two cards ensure a secure workflow when shooting on location. The S 30|45 offers even more than outstanding still images. The Leica Max CMOS image sensor and the Leica Maestro II image processor also delivers a choice of Video shooting formats; from Full HD up to 4K. Making the S 30|45 a unique and extremely versatile solution for both Photography and Video. The S 30|45 provides the tools for more creative possibilities and potential business opportunities. The Sinarback S 30|45 offers maximum shooting versatility with extreme sensor sensitivity of up to 12,500 ISO And it provides the hardware and feature-set to ensure you capture images and video in the highest quality. The S 30|45 perfectly suits the Sinar view camera range but can also be used in numerous other configurations. Besides using the traditional Sinaron HR lenses on a Sinar p3-df View camera, the photographer now has the option to integrate the Leica S (CS) lens range. The new Sinar S-CS Adapter provides seamless integration between a Leica-S (CS) Lens and a new Sinarback S 30|45 Digital Back. A system consisting of a Sinarback S 30|45 digital back, a Sinar S-CS Adapter and a Leica S (CS) lens makes a perfect kit that is compact and easy to use. Featuring a Top Shutter Speed of 1/250 sec. The superb functionality of the eShutters already make them the ideal solution for indoor/studio use, however, the new model's faster top shutter speed of 1/250s is better suited for use with technical cameras used outdoors. The new eShutter 250 thus heralds a new standard in contemporary large format photography. 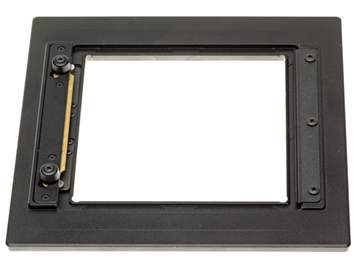 •	Open-system to be used with all Sinar and any other manufacturer's digital backs. •	A modern alternative to Copal and CMV shutters. •	Future-proof system for all lenses of 'Size-0'. •	Allows conversion of existing lenses in the popular 'Size-0' making a more affordable investment. •	Sinar will be offering two eShutter versions—distinguished by their top shutter speeds—the new eShutter 250 & the existing eShutter 125. •	The Sinar eShutter system improves your workflow with precision and convenience and with features such as wake-up signal, bracketing and HDR. 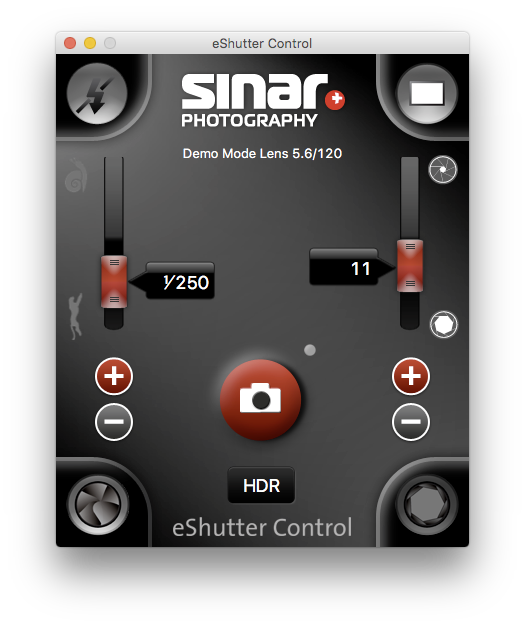 Sinar eShutters will become mobile with the introduction of the new eShutter Control 2 to be available by the end of 2016. Untethered eShutter operation can then be realised! The new eShutter Control 2 is equipped with WLAN near-field communication for convenient control via iOS using the eShutter Control App. The Sinar eShutter Control 2 will be launched at Photokina in Cologne Germany in September 2016. Stock is said to be available for delivery from November 2016. Soon you can treat your eShut­ters to a trip outdoors! Please contact me to discuss your specific Sinar needs and to assist with a tailored offer for the Sinar eShutter solution and/or to upgrade your existing Sinar system. Applies to Sinarback eXact or eVolution86 H — with or without trade-in special pricing. Receive a free Sinar p3 Adapter Kit and a free Sinar Conversion Kit p2/p3 to upgrade your existing Sinar p2 4x5” view camera. the Multipurpose Bellows 100 EL. The Conversion Kit p2/p3 does not include the conversion to df (digital focus), however, this is available at extra cost. This represents a saving of $6,648.40 inc. GST based on current prices. And to sweeten this offer even more, following your order for a new Sinarback with the free p2/p3 camera upgrade, receive a 10% discount on subsequent follow-up orders for additional needs such as new lenses, lens conversions and bellows, etc. Please contact me for current new or trade-in Sinarback pricing. These offers apply only until March 31, 2016. The Sinar eShutter system is the most modern electronic shutter solution for all size '0' professional lenses. Fast shutter speed up to 1/125 sec and a 7-blade iris diaphragm are only 2 attractive key features. Sinar eShutter Control Software for Mac and Windows OS offers simple and comfortable operation of the shutter system, also via Sinar App. Additional features like bracketing, exposure sequences, wake up signal and delay functions are selectable. Aperture is controlled in steps of 1/6, 1/3, ½, 1. Learn more about Sinar eShutters from Sinar's website. Upgrade your existing shutters (Rollei, Schneider, Copal, DB, CMV, CAB). Order 2 Sinar eShutter Lens Conversions before January 31, 2016 and schedule the required 3-4 weeks for their roundtrip to Switzerland in a suitable timeframe until the end of March 2016. Convert 2 Lenses into Sinar eShutters and get 1 eShutter Control Box & 1 eShutter Control Bracket for free. Save over 30%! In addition, Sinar pays for international shipping back to Australia. The Sinar eShutter Control – the interface between Sinar eShutter and computer – ensures the synchronization with digital backs from any supplier. 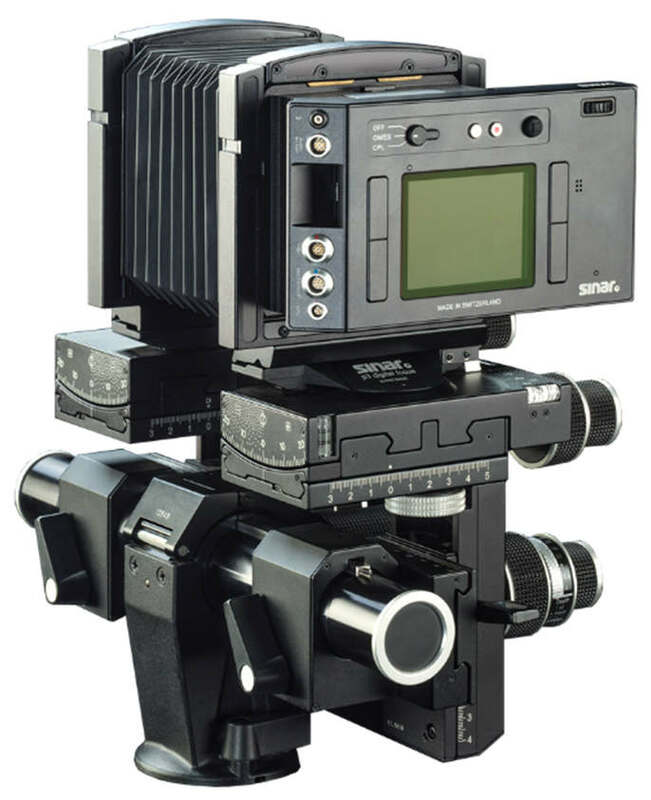 The Sinar eShutter Control Bracket supports the eShutter Control unit. It's mounted between the tripod head or studio stand tilt head and camera. Act now to have your lenses converted into Sinar eShutters to profit from this special promotion! Please contact us for more information and latest prices. Give your Sinar p2 a facelift ! The legendary Sinar p2 is no longer manufactured, however, many of these technical cameras are in daily use. Your Sinar p2 can become a Sinar p3-df, or anything in between. Here are options to upgrade your 4x5" camera to gain access to the compact Sinar p3 system (100 x 100mm). This format reduction adapter can be used on either front and back p2 format frames. It allows you to instantly use mounted 100mm gear on your 4x5“ camera. A great accessory for flexible handling of lenses and digital backs if you own p2 & p3 configurations. This set replaces your existing and larger Sinar p2 4x5” carrier frames with the smaller 100x100mm carrier frames of the Sinar p3. Your existing front and rear bearers are retained. 1 x 497.13.000	Conversion Set Sinar p2/p3 $4,672.00 inc GST. Factory adjustment of the camera included, necessary repairs will be advised via cost estimate. 497.13.000	Conversion Set Sinar p2/p3 $4,200.00 inc GST — a 10% saving. 497.13.001	Conversion Set Sinar p2/p3 RV pay $4,626.00 inc GST — a 10% saving. 487.12.000 Digital Focus Conversion Kit for Sinar p2 or p3 to p2-p3-df $1,392.00 inc GST — a 10% saving. This conversion improves the accuracy of the fine focus gears by more than 30%. Starting torque is reduced to allow more precise adjustment. The new gear ratio is adapted well to the smaller pixel sizes of the latest digital back generation. In addition, a new depth-of-field scale will be added and factory adjustment of the camera is included. This service is exclusively performed by Sinar in Zurich. All prices subject to variation without notice. Sinar CTM (Colour To Match) multispectral dual-pass filter solution for highly accurate colour reproduction in digital high-end photography. It corresponds to the visible spectrum of the human eye in the range of 380 - 730 nanometers. 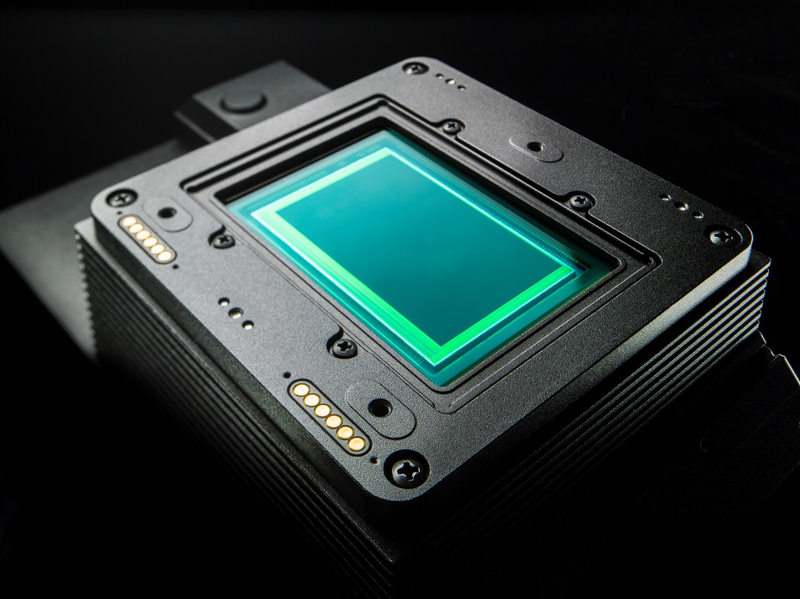 This dual filter solution has been engineered together with the Rochester Institute of Technology (RIT), Rochester, USA, and corrects for known colour deficiencies in the Bayer pattern coating applied to photography CCD sensor arrays. 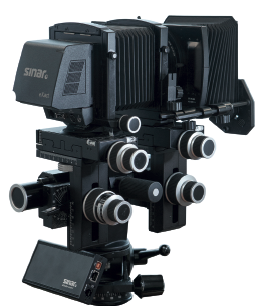 CTM was developed exclusively for Sinar digital backs. This extreme colour accuracy is especially required in digitization of valuable cultural objects of art, in reprography, scientific and advertising photography. The results achieved are digital image files with unmatched colour accuracy that guarantee an efficient workflow and a high throughput. This graphical comparison illustrates the outstanding colour accuracy of Sinar CTM (Colour To Match, left) compared with an image taken with a current, commercially available digital back (right). The arrow diagrams show the target/actual results for the corresponding colours. Analysis of other digital backs may vary, but overall they show similar deviations from the nominal values. 01/11/2013 — A New Sinarback in November? There's never been a better time to invest in a new Sinarback! Save with Sinar's 20% promotional price on a new Sinarback — the very heart of your Sinar digital system! Sinar One-shot and Multi-shot digital backs stand for the highest image quality and deliver unsurpassed results in terms of color accuracy, colour resolution and detail sharpness. Besides the promotional pricing you'll also like Sinar's CaptureFlow image processing software. It features useful adjustment aids, a big colour live- image picture and has built-in basICColor profiling for constant color-management. 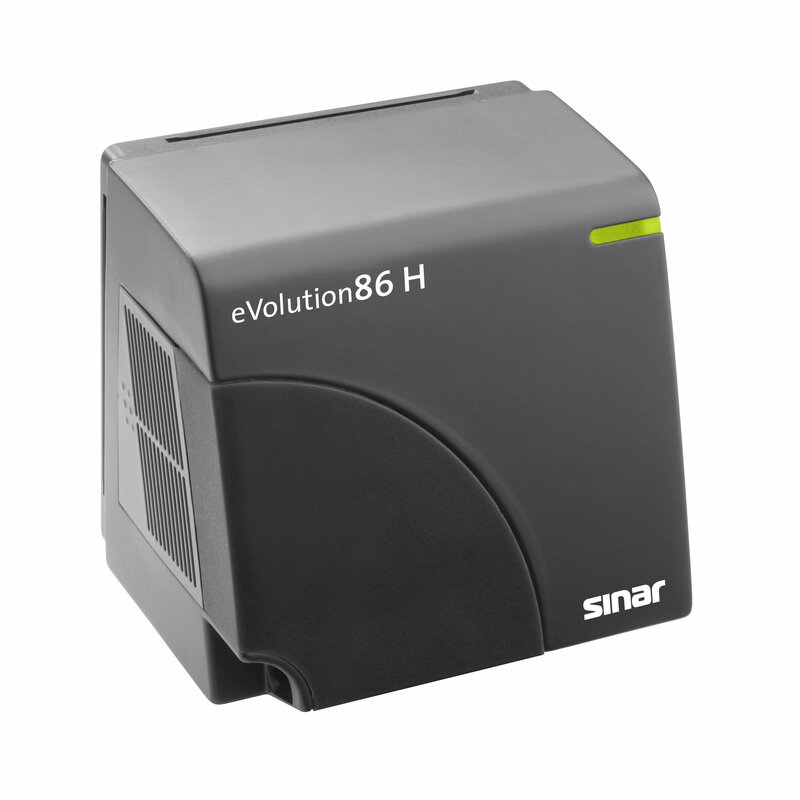 Available for Sinarback eXact and eVolution86 H, the SCP Sinar Care Protection provides a unique 'All-Round Worry-Free Full-Service' to safeguard complete value retention of your investment. The yearly premium not only covers any cost which may arise for repair, product replacement and shipping but it also pre-finances your next Sinarback. After only one year, SCP offers free-of-charge exchange for a new digital back to suit your needs. You work continuously with the latest technology, without having to worry about further investments. For additional information about this offer, please contact us. * Prices include GST and subject to change without notice. * Promotional discount is not valid for trade-ins. * Camera Adapter Kit for your camera must be purchased separately. * Valid strictly until November 30, 2013. 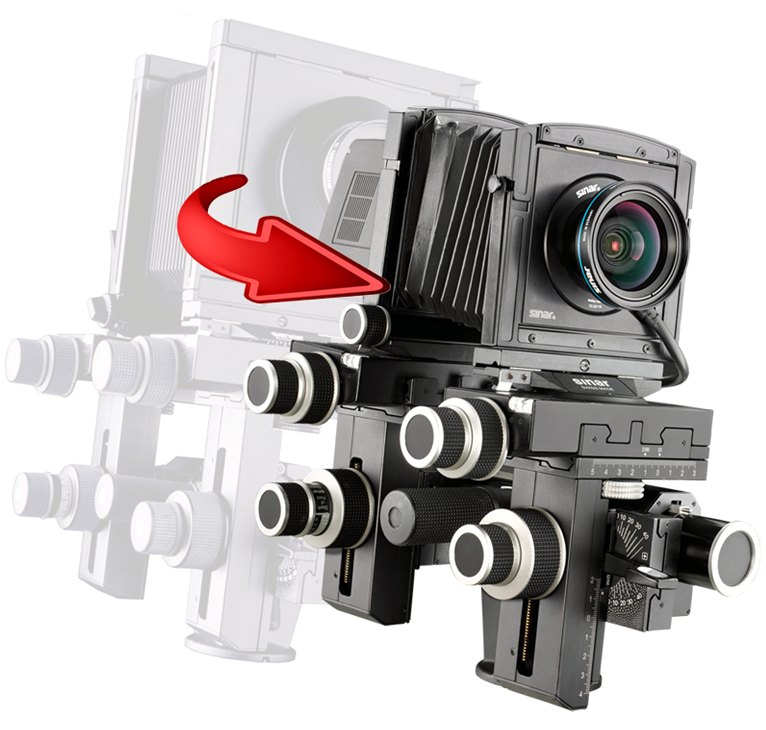 Sinar's new p3-df camera with improved fine focusing controls. This oft-requested improvement was achieved by replacing the entire fine-focus pinions, their racks and depth of field mechanism. The result is fine-focus heaven for the ultimate Live Image precision when focusing your images. Upgrade your existing Sinar p3 view camera to a Sinar p3-df at an introductory price of $1,224.00* including GST. Freight charges between AU > CH are extra and passed on at cost. Return shipping is free. The conversion includes basic calibration and alignment plus 1-year warranty for your modified Sinar p3-df. Could your present Sinar system benefit from an upgrade? As good as it is, perhaps it no longer truly satisfies your needs and most importantly, the needs of your clients? The good news is that Sinar now offers you an obligation free analysis of your existing system with a view to keeping it current and technologically up to date. Simply fill-in the workflow analysis form which is designed to advise Sinar about your current equipment and to also let them know about your field of photographic activity. In due course, Sinar will send you their personal non-binding limited offer(s) which may then be discussed further with your local Sinar distributor. By entering, you could win either a Sinarback eVolution86 H, a 3-year SCP full warranty (Sinar Care Protection) or the conversion of 2 lenses into the Sinar eShutter System. Simply return the workflow analysis form to automatically participate in Sinar's draw. There is no obligation whatsoever and you most likely will be pleasantly surprised by Sinar's generous offer(s). And who knows, you may soon rest assured in the knowledge your equipment is current and produces the very best Sinar image quality and workflow available today. Thank you on behalf of Sinar for your consideration in this matter. * The price quoted may be subject to variation without notice due to foreign exchange fluctuation. Available while stocks last on a first-come first-served basis. At this price, quantities are limited. The delivery time is approximately 4-6 weeks after order placement. This promotion is based on 100% payment in advance. Published price subject to variation without notice due to currency fluctuation or factors beyond my control. sources. When used in combination with Sinar Digital Backs using Sinar’s CaptureFlow software with its fully color-managed workflow, the Sinar eMonitor Colorimeter adds precision profiling for your Displays as part of a truly color-managed professional workflow. sources of ambient light. The eMonitor is housed inside a circular anodized aluminium, plano-parallel, unibody housing and supports various measurement modes. Contact Measurement – The eMonitor device is suspended from the integrated tape measure. Makes emissive Display contact measurements that exclude interference from ambient light. Tele Measurement – Using the eMonitor Tele accessory, allows ambient light measurements from a distance on a desktop stand (Metamerism). A laser beam enables an exact alignment of the instrument. 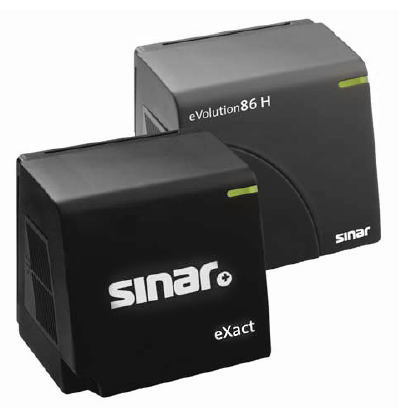 Significantly more accurate than any other device The Sinar eMonitor is easily the most capable calibration sensor. It provides very good accuracy when measuring RGB back-lit monitors and even better results on the highest-end Eizo and NEC displays. If your business depends on how accurately your monitors render color, the Sinar eMonitor is an attractive choice. This product also proved essentially immune to ambient temperature changes and has the most secure and foolproof attachment to a monitor screen of any measurement device available. Numerically, as measured by a reference grade spectroradiometer, the Sinar eMonitor is the more accurate and consistent meter on every display. This allows the photographer to do their viewing with a degree of confidence and get their color managed workflow moving smoothly with no surprises. Load the included basICColor Display Mac or PC compatible software and USB connect the eMonitor to your computer and start calibrating. We recommend waiting 40 minutes or so for the Display/device to warm up and stabilise prior to making any measurements. Using custom-grade coated optical glass filters and combined with sensors offering high inter-instrument agreement, the Sinar eMonitor guarantees the long-life stability of your results. Each device is individually calibrated and can also be re-certified to provide peace of mind that the measurements results achieved are of the highest possible standard. 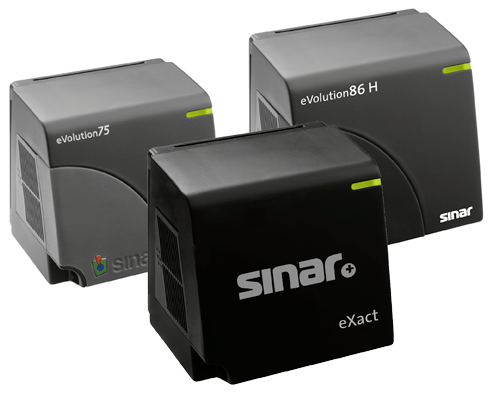 The Sinar eMonitor – a reliable Colorimeter and production reference tool for long-term use. Unlike other colorimeters, Sinar eMonitor has been designed to be a lab-grade instrument of the highest quality. It was made for the express purpose of accurately calibrating these wide-gamut displays with no compromises. The temperature sensor in the Sinar eMonitor compensates for degrading heat issues during the measurement process. 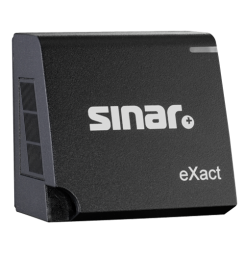 Even after extended use, the Sinar eMonitor will provide even and consistent measurement data that is especially important in sensitive black areas. 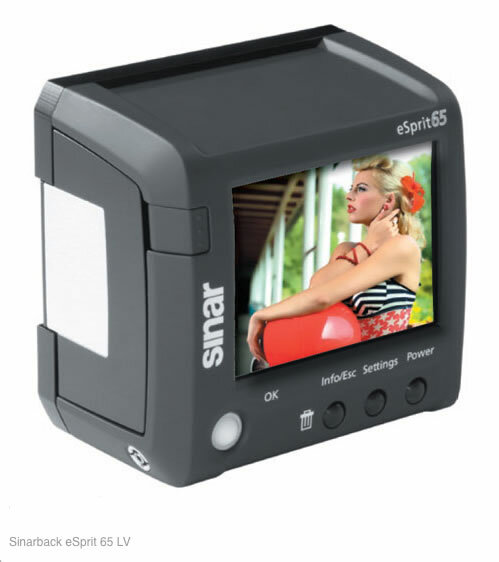 The Sinar eMonitor is supplied inside a fitted case and includes software and a desktop stand. A ‘site’ licence is included which offers unlimited use with various devices and by multiple users on different computers. Includes a ‘site’ licence which allows unlimited use with various devices and by multiple users on different computers. Socket adapter 3/8" to 1/4"
Effective today, I'm delighted to let you know that Capture Scan Print is now able to offer you products from the extensive Mamiya Leaf product portfolio. These are sourced from the Australian Mamiya Leaf distributor, Ted’s Corporate, Government & Professional, based in Melbourne. 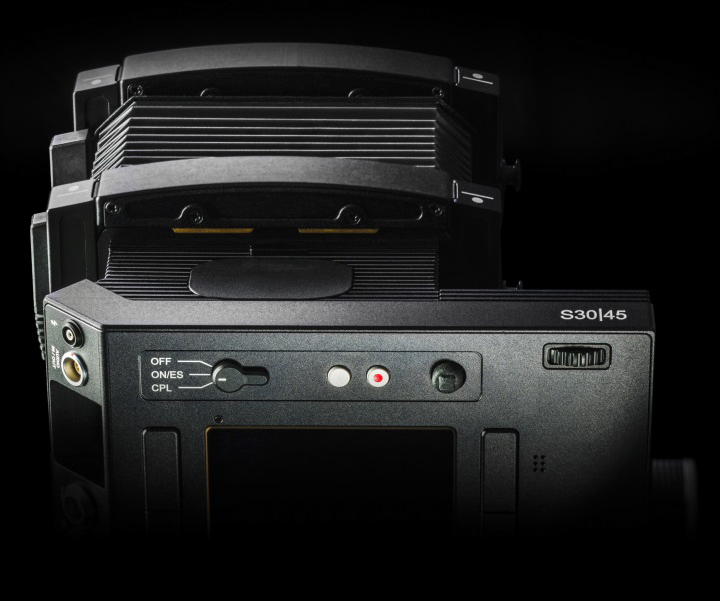 As the Australian Sinar Distributor, the addition of Mamiya Leaf products to the range serves to enhance the portfolio of digital equipment offered by Capture Scan Print and this is quite relevant in the knowledge that Sinar does not currently offer any one-shot portable digital backs with a display and with CF storage. I believe the addition of the Mamiya Leaf product range should be seen to compliment, rather than compete against the existing Sinar product range. Capture Scan Print offers you extensive experience with Leaf digital backs, with hands-on involvement since the very inception of digital photography in the early 1990's. We currently own and use a Leaf AFi-II 12 80 Mp back which is configured for use on several cameras such as the Leaf AFi, the Rollei Hy6 Models 1 & 2 (soon) plus some very special Sinar portable cameras such as the arTec, lanTec and even the Sinar p2 for long lens use with a Sinar sliding adapter. It is a pleasure to be once again involved in selling Leaf backs and I welcome your interest in Mamiya Leaf! Click here to be taken to Mamiya Leaf products page, or contact me for prices. 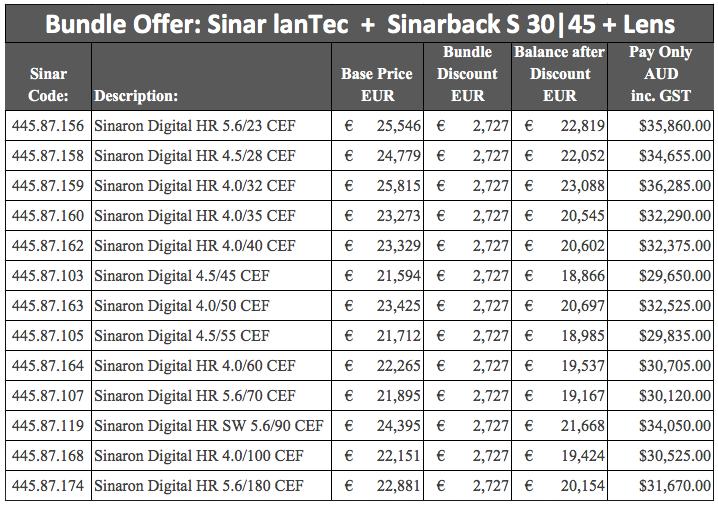 Receive a trade-in value of up to CHF 10'000 / € 8'000 for your existing Sinarback with your order for a new Sinar eXact digital back. The eXact's 16-shot XL mode delivers true colour sampling for 192 mega-pixels of stunning, artifact-free images. The Sinarback eXact creates new photographic opportunities for demanding multi-shot applications. It's the perfect tool and new benchmark for high-end studio and reproduction photography. The versatile eXact enables you to render 12, 21, 48 or 192 mega-pixels, always with highest colour accuracy and great contour sharpness with either 1-, 4- and 16-shot shooting modes. Now running on the awarded 64-bit CaptureFlow software, it features basICColor input profiling technology for the quick and accurate creation of input profiles tailored to your specific light source(s). There's a redesigned shading mode too. Receive a trade-in value of up to CHF 8'000 / € 6'400 for your used digital back with purchase of a new Sinarback eVolution 86 H.
Top class quality digital back with 48 Mpixels (1- and 4-shot) for still-life, reprography or archiving - for stunning image results with highest accuracy of color-resolution and perfect attention to details. A Sinarback you'd only surrender as a trade-in against a Sinar eXact. Receive a trade-in value of up to CHF 4'000 / € 3'200 for your digital back to support your investment in a Sinar eVolution 75 H.
Now we also offer our professional entry model with this attractive trade-in promotion. A proven and reliable digital back with convincing performance and 33.3 MP CCD Dalsa Sensor. And there's a free Digital back Adapter kit of your choice included with this offer! All Sinar digital backs deliver results that are clearly unsurpassed in terms of color accuracy, color resolution and detail sharpness. The 'Receive a trade-in value of up to' price mentioned above indicates the maximum amount you will receive towards your new Sinarback and varies subject to the specific digital back you have for trade-in. Third-party digital backs also welcome! Please contact me for a trade-in offer for your specific digital back. Sinar's market prices are indicative only and do not include foreign exchange conversion costs, freight charges, shipping and insurance costs, nor Australian GST. Quotations will includes all of the above with GST included. To qualify, Sinarbacks to be exchanged must arrive at Capture Scan Print within 5 days after receipt of your new Sinarback. To receive CHF 10‘000 for an eVolution 75, this has to be in working condition. Sinar pay up to 10'000 Swiss Francs for older Sinarbacks! Effective today, Sinar introduced a generous trade-in program based around older model Sinarbacks. This has come about because many critical parts for these backs can no longer be obtained and it primarily affects Sinarbacks from the 1st generation. (22Mpixels and less) As a result, Sinar can no longer guarantee repairs for these older backs. * Base prices quoted in Swiss Francs as per Sinar's offer. Prices show Sinar's Market List Price less trade-in. * The above prices do not include foreign exchange conversion costs, freight charges in both directions, shipping and insurance costs or Australian GST. Please contact us for a quotation in Australian Dollars which includes all of the above. Sinar presented several new and exciting products at Photokina 2012! For more information, please click the above images to download a pdf brochure or document. And feel free to call for additional information or other questions you may have. The Sinarback eXact is a world-leading multi-shot digital back which features multiple shooting modes from 12~192 MP. CaptureFlow software will eventually support both Mac and Windows platforms and features an integrated basICColor colour-engine with multi-target input ICC profiling capability. In addition, the new application is now a fully 64-bit application and whilst a beta version was shown at Photokina, the features and speed of the application was a positive step forward. CaptureFlow will initially support current Sinarbacks; the eVolution and eXact series. There may be a chance that older devices will be supported too such as the 54m and possibly the 54H. The new Sinaron Digital 90mm HR-SW lens features a 120mm image circle and a minimum of 100 Lp/mm resolution over the entire image circle! I was told this is the best lens Rodenstock has ever produced for use with digital photography and of course a high-quality lens such as this will be absolutely mandatory when using the Sinarback eXact's 16-shot mode. The Sinar lanTec is a new compact camera for outdoor shooting. It features optional/removeable left and right side hand grips and tripod pan base. It uses Sinaron CEF lenses made for the Sinar arTec which are mounted in helical mounts and Copal shutters. Camera movements are ± 20mm lateral shift and + 25mm and -15mm Rise and Fall respectively. Thanks to the interchangeable camera back adapters, it can easily be used on digital backs with either M645, Hasselblad-H or Hasselblad-V interface mounts. It is priced very reasonably. 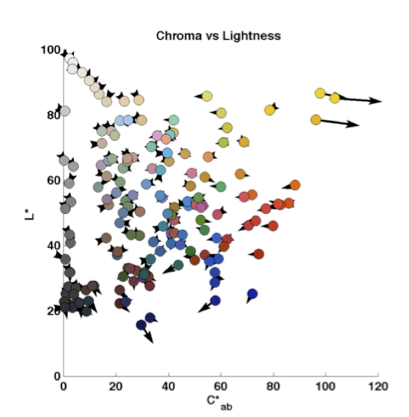 And finally, there was one relatively quiet but surprising announcement—a Multi-Spectral Dual-RGB Capture for use in archiving where colorimetric accuracy really matters. 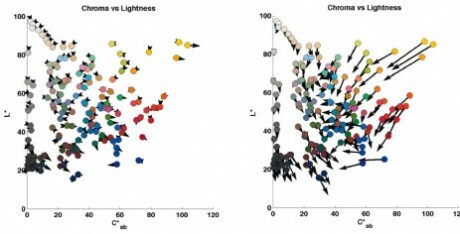 Featuring a new method of digitisation which was jointly developed by Roy S. Berns of the Munsell Color Science Laboratory at the Rochester Institute of Technology and Sinar Photography. The system consists of a digital back with the IR filter removed thereby extending spectral sensitivity beyond 600 nm, and two filters, each of which is used to capture images. The optimal filter pair were Schott BG 39 and GG475 optical glass, each with an AR coating and a glued UV and IR cut filter. Interestingly, the BG 39 is a common IR filter; thus the camera can be used as either an RGB or Dual-RGB camera. Availablity for items such as the new Sinar lanTec and the 90mm HR-SW lens is immediate, with availability of the Sinarback eXact and the new CaptureFlow software said to be within the next few months. 12 to 192 MP digital back ! 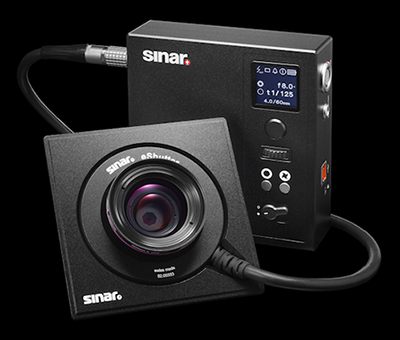 The new Sinarback eXact enhances Sinar’s existing digital back technology by adding additional features—whilst simultaneously preserving their uncompromising dedication to producing high-quality digital capture devices that are reliable and long-lasting tools for use in Professional Imaging. The Sinarback eXact is Sinar’s new flagship model and offers the superb image quality that all Sinarbacks are famous for, whilst adding new features over previous models. The Sinarback eXact’s feature-list adds four additional shooting modes. One of which is the new XL 16-Shot mode. This 192 MP mode uses micro scanning to increase the sensor’s spatial resolution and to provide full colour sampling for each and every half-pixel step. The process provides fully sampled—and thus true and accurate colours—and this in turn produces images with greater contour sharpness over what’s possible via any single-shot method of capture. To experience just how stunning and rich in detail Sinarback eXact images can be, you really must see the images for yourself. Based on the legendary 16-shot technology from former Sinar digital backs—the micro-scanning function has been significantly refined for use with the new Sinarback eXact. 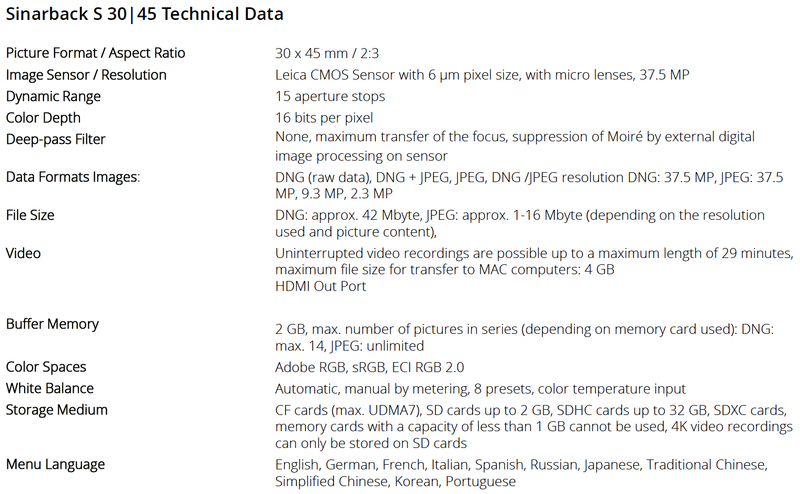 As you can see in the table, there are two XL modes where the back shoots an effective 192 MP sensor. There's the XL 4-shot mode, which provides 192 MP ‘single-shot quality’ with interpolated colours—and there's the XL 16-shot mode as was mentioned previously. The new Sinarback eXact sets new image-quality standards thanks to the integrity of the information sampled and this of course ideally suits applications where larger file sizes and/or highest quality/colour-accuracy is mandatory. But wait, there’s more to the new Sinarback eXact... Sinarback eXact: All in One? In recent years, there's been an ever-increasing upward trend in the pixel density of MFD sensors. However, in some instances of production, not only Sinar, but their clients too, have become acutely aware of the post-production burden when producing images that are way too large for the purpose at hand. Less is more? Sinarback eXact is 100% compatible with Sinarback eVolution75/86 H. It can be used with existing adapter kits and other Sinar accessories. For best results we recommend the use of the Sinaron HR lenses. 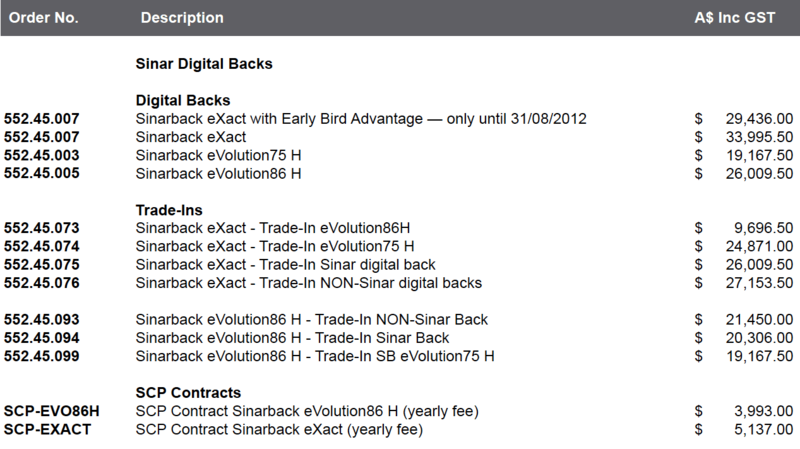 Sinarback eXact — Early Bird Advantage & Pricing.. The above prices are subject to variation without notice due to foreign exchange rate changes or other factors beyong my control. Please contact me for confirmed prices at time of order placement. All Sinarbacks require adapter kits at extra cost. 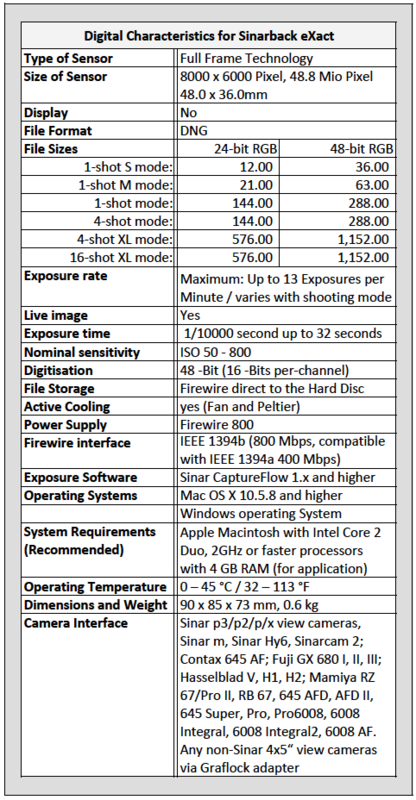 * Specifications or the terminology used is subject to change prior to the back's release in Q4, 2012. This unique “all-round worry-free full-service” offer for Sinar Digital Backs heralds a new dimension in the performance of digital products, because it is refreshingly and thoroughly different from all other currently available warranties. The SCP safeguards complete value retention of the photographer’s investment for many years, providing him or her with the peace of mind of completely risk-free operation. 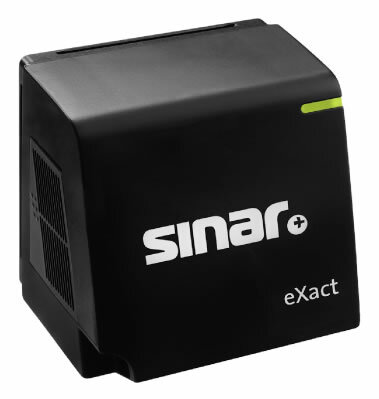 Sinar covers all the costs of repairs and shipping and offers, a free-of-charge exchange for a new digital back to suit your needs. (after 12 months at the earliest) The user thus gains the ability to work continuously with the latest technology, without having to worry about further investments. Sinar practically eliminates downtime caused by repairs by providing free-of-charge, uncomplicated and very fast product replacement. SCP is based on the 100% billing of the yearly premium, which provides the user with the complete value retention of their digital back purchase. All service work is registered in the service book of the digital back and is covered by a worldwide guarantee. Future large investments are eliminated and current operting costs can be planned and budgeted accurately. The SCP customer has access to free-of charge equipment replacement. There are no additional charges for shipping or customs duties. Fixed moderate yearly premiums provide convenient cost control while pre-financing your next digital back at the same time. E-mail and telephone support is available to you free of charge via your authorized dealer. At any time after only 12 months you are entitled to trade in and to upgrade your equipment. updates and upgrades of future digital backs without the worry about having to deal with unexpected costs later on. of providing high grade professional premium service. Applies to Sinarback eVolution86 and Sinarback eXact backs. 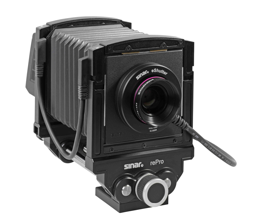 26/03/2012 — Sinar rePro Now Available — Book a demo now! 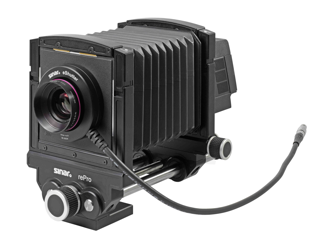 The new Sinar rePro Camera has arrived and is now available for immediate demonstration. 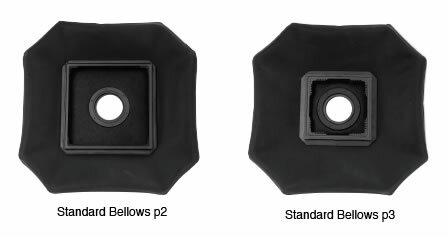 Dedicated adapters for fine two-way levelling adjustments of the rePro camera are available for different stands. There's a "Standard" plate, which is supplied with the camera and a "Kaiser" and "Foba" two-way levelling plate available too. Compatability between existing components of the Sinar p3 means that existing items such as p3 lenses, p3 Bellows, Rod Holder and lens hood components, can also be used with the rePro. Apple iPad 2 Wi-Fi 16 GB. 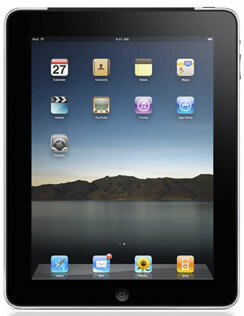 Apple iPad 2 Wi-Fi 32 GB. Apple iPad 2 Wi-Fi 64 GB. Lenses include Sinar 100 lens board. Purchase 2 eShutter lens conversions and get a 30% discount on the Sinar eShutter Control 552.15.001. Purchase 3 eShutter lens conversions and get a 50% discount on the Sinar eShutter Control 552.15.001. Purchase 5 eShutter lens conversions and receive a free Sinar eShutter Control 552.15.001. Additional shipping and insurance charges, at cost, will apply for all lens conversions. The Sinar eShutter is a true 'open-system' shutter in size-0, which may be used in the following ways. 1. With Sinar's eShutter Control App on the Capture Computer with the installed USB driver. Allows direct control of both aperture and shutter-speeds in 1/6, 1/3, 1/2 or full f-stop increments. 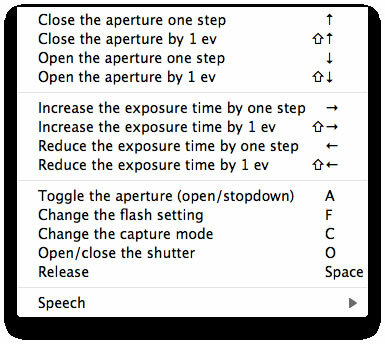 Shutter speeds from 1/125 to 32s, also in 1/6, 1/3, 1/2 speed-increments. Simply run your choice of capture software and application-switch between Apps! When using CaptureShop, start the Sinar eShutter Control App before CaptureShop to pass full control over to the Sinar eShutter Control App. 2. With eShutter remote control via an iPad2, iPhone or iPod touch. Connected 'as above' but with added remote control using either iPad2, iPhone or iPod touch over WiFi network. Simply create or join a WiFi network and run Sinar's eShutter Remote App on the portable device. This effectively turns your iPad2, iPhone or iPod touch into a hand-held remote control for the eShutter. In this instance, full control will be available from both the eShutter Remote App as well as from the eShutter Control App on the computer. 3. With Sinar's CaptureShop version 6.1 application. 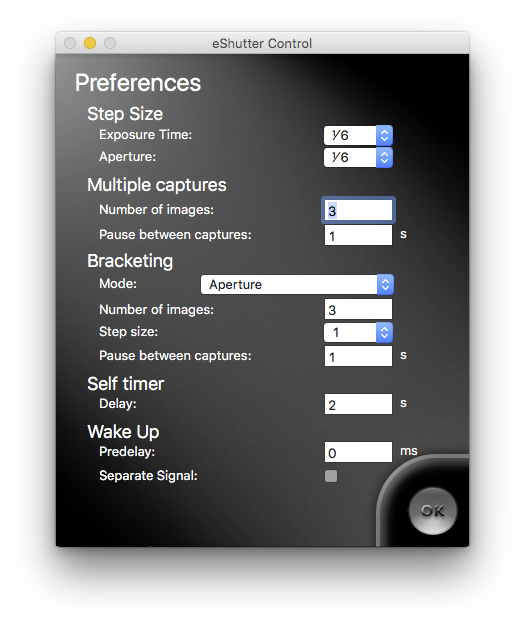 In this case Sinar's CaptureShop App controls both aperture and shutter speed directly from within CaptureShop. 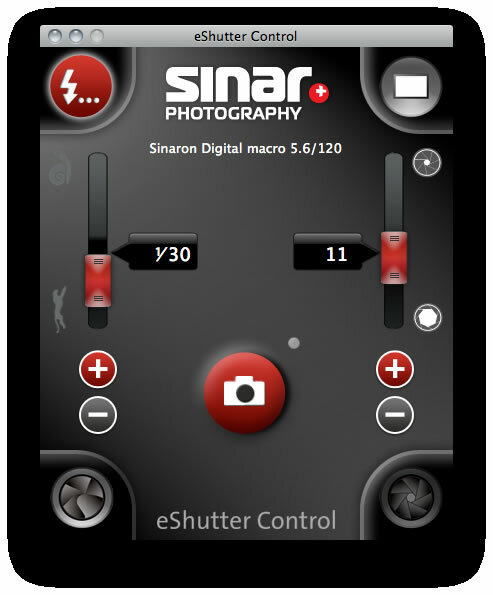 You do not have to run either the Sinar eShutter Control App or the Sinar eShutter Remote App. This is the best way to connect existing Sinar backs. As a result of the rapidly growing demand for digitalization and the related requirement for efficient and effective archiving, the features required in a reproduction camera have changed considerably. Two critical factors in the design of a modern reproduction camera are convenient operation and the utmost in precision. And where a high volume throughput of subjects is to be digitized, an optimum workflow is a must because exposures which need repeating cause serious delays and add considerably to costs. These criteria were taken into account as major considerations in the development process of Sinar's new rePro camera. The result is a camera that meets the requirements of Reproduction Photography without limitations. The legendary precision of Sinar view cameras for analog and digital photography is widely known and highly valued by professional users around the world. And the subject of sharpness has become significantly more important since the advent of digital photography. Therefore, to be assured of optimum results, it's especially important to use a camera which offers the right mix of features in terms of precision, stability and convenient operation. 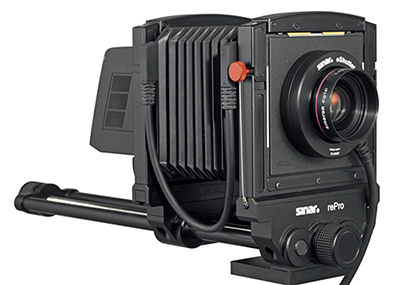 The new Sinar rePro is based on existing components of the legendary Sinar p3 camera. Its compact design is ideal for digital reproduction photography and this increases the overall stability of the camera for pixel-precise settings. Operating the ingeniously fast fine-focusing drive, make it very obvious that this high-end camera was crafted with high precision and the tightest of tolerances. The newly developed fine focusing drive is based entirely on the demands of digital photography – one full turn effects a change in distance of only 0.5 mm. Entirely in keeping with classic Sinar philosophy, the new Sinar rePro camera features the much admired modularity which is often praised by our Users. This means that all lens and shutter systems with the exception of CAB and which are already in use with the Sinar p3 camera, can also be used on the new Sinar rePro camera. In addition to the CPL (Copal) and CMV series lenses,the Sinar rePro will also accept lenses mounted in the new Sinar eShutters. Digital back support includes many Sinarback versions and several backs made by other manufacturers. These can readily be used by means of the appropriate adapters, many of which are already available for the Sinar p3 camera. When compared with a studio view camera, the operating elements of the new Sinar rePro camera are limited strictly to the essential controls needed for efficient reproduction photography. The camera features a new and improved fast focusing system which makes for remarkably easy operation to assure a much more efficient workflow. 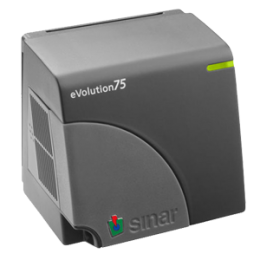 When used with Sinar CaptureShop software and the new Sinar eShutters, the automation and setting of both aperture and shutter speeds in software make the operation of the camera effortless. This of course promises consistent and optimum results. One very desirable advantage is that camera precision tolerances are actually enhanced by the elimination of the swing and tilt mechanisms, making the Sinar rePro camera the most modern solution for applications in professional Reproduction Photography. Sinar Cameras and Sinar Digital Backs already enjoy a significant market share in Government Institutions around the world. Whether used in State Libraries, Galleries or Museums, the Sinar rePro is the ideal tool for projects that require the archiving of important and valuable records and works of art. The Sinar rePro camera is easy to use whether operated by digital professionals or novice users alike. Sinar's precision and proven quality promises consistent and reliable results making shooting large-volume projects a breese, by preventing errors in operation which in turn reduces the need for costly re-shoots. Whatever your rePro digitisation project may be, it's likely the Sinar rePro camera may be the ideal solution! Please call for details or to book a test drive. The most obvious change of CaptureShop 6.1 is the support for Sinar eShutter systems. supported by CaptureShop 5 are also implemented in CaptureShop 6.
converters don't fully support the complete DNG standard and can only open 1-shot images. Multishot images are a special case in the DNG specification and might not be loaded correctly. Raw and Iridient Raw Developer. 1-shot images is considerably sped up compared to CaptureShop 5. More information can be found in the pdf contained in the download. Trade-up to Sinarback eVolution86 H / 75 H offer extended until June 30th, 2011 + new lower prices! Some excellent news for those considering trading up to one of Sinar's excellent multi-shot backs. The previously successful Sinarback75 H / 86 H trade-in promotion has been extended until June 30th, 2011. And better news again, prices have been further reduced—in line with the strength of the Aussie dollar—which makes your purchase of a Sinarback Multi-shot back a wonderful investment, especially when performance, price and an open DNG workflow are collectively considered. This promotion provides the opportunity to trade-in digital backs of all brands and also includes the option to trade-in unwanted Digital SLRs + lens, and even Sinar p2 and f1 / f2 cameras! • Digital SLR cameras with more than 5 MP resolution + one lens. • Please provide a written purchase order for the new back and adapter plate to suit your camera. • The specific digital camera back/Digital SLR camera/Sinar p2 or f1/f2 that will be sent to Sinar Photography for the trade-in must be mentioned on your purchase order for the new Sinarback eVolution86 H/75 H.
• The trade-in item must be complete and in working condition. No exceptions please! • The trade-in item must be ready for collection when the new device is delivered. • Your payment in full is required prior to delivery of the new device. • A nominal installation fee will apply—subject to location. • Prices are subject to variation due to unforeseen currency fluctuations. • The above promotion cannot be combined with any other offers and replaces previous offers. • Any DLSR for trade-in must also include one lens which fits the camera..
• Any returned Sinar p2, f1 or f2 must be complete - including rail, front and rear standard, carrier frames and bellows. The reason for the change is that many customers don’t use the hard case once the Sinarback eVolution has been installed onto their camera system. The other reason is the very attractive pricing which forces Sinar to save some costs! The new scope of delivery is valid with immediate effect. 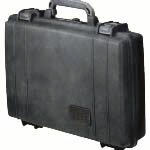 Of course the hard case for the Sinarback eVolution can be ordered separately at any time. Effective from February 1st, 2011, Sinar Photography grants a warranty period of 1 (one) year on most all products and services. CaptureShop 6 is an enhanced version of CaptureShop 5. All bodies and configurations supported by CaptureShop 5 are also implemented in CaptureShop 6. The most obvious change of CaptureShop 6 is DNG. DNG is the new raw data format of CaptureShop for image storage. CaptureShop 6 is not a general DNG-reader though. It only supports DNG-files that have been created with CaptureShop 6. Currently no other DNG-files can be opened. 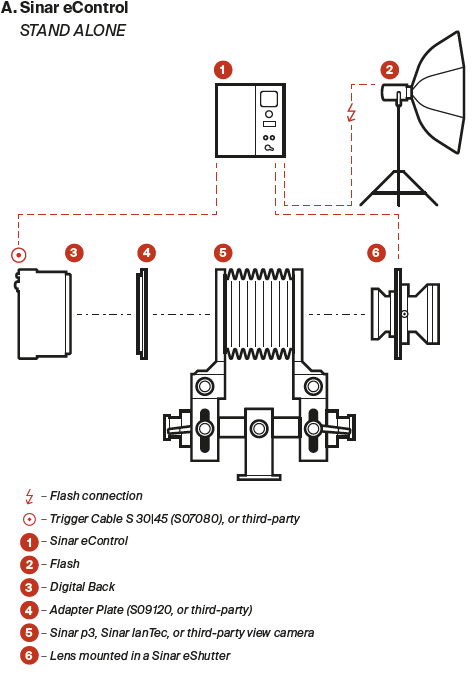 This is also true for Sinar eXposure files or files directly captured by Sinarback eSprit 65. That being said, CaptureShop 6 DNG files conform 100 % to the DNG standard and can be read by any DNG capable reader/converter. Please be aware, though, that some raw converters don't fully support the complete DNG standard and can only open 1-shot images. Multishot images are a special case in the DNG specification and might not be loaded correctly. Converters that are known to support multishot images are Adobe Lightroom, Adobe Camera Raw and Iridient Raw Developer. CaptureShop 6 supports the multicore-architecture of Apple computers. Opening and exporting 1-shot images is considerably sped up compared to CaptureShop 5.
o Deleted images are correctly put back to its previous location when the respective action is triggered in the trash window. o Slider ranges for Saturation and Exposure Compensation have been adjusted. o New context menu "Show in Finder" has been added to the Contact Sheet Browser (the Finder window might need to be put to front manually). There is the possibility that on some computers permanent Firewire usage, i.e. use of Live Image, can lead to crashes with Captureshop. From our experience most computers operating under Mac Os 10.5.x are affected. Running CaptureShop with Mac OS 10.4.11 and 10.6.6 and higher (if possible) on the same computer performs stable. In general we recommend to operate computers with G5 processors under Mac OS 10.4.11 and Mac OS 10.6.6 on computers with Intel Processors. If you do not experience such crashes with your configuration, there is no need to upgrade or downgrade, though. 1 Depending on the hardware used, PCI, PCI RAM (PCI 1, 2 and 3) or the PCI-X (133, 333) are supported. Fiberoptic-Backs are not supported on Intel-based Computers. 400 socket can be operated on Firewire 800 with third party adapters from companies like Belkin or Sonnet. Sinar Photography is pleased to announce a new trade-up promotion for the Sinarback eVolution86 H and Sinarback eVolution75 H. This promotion has been extended to included not only users of digital backs of all brands—but now includes the option to trade-in unwanted Digital SLRs + lens, and even Sinar p2 and f1 / f2 cameras. Effective from 1. February 2011 Sinar Photography will grant a warranty period of 1 (one) year on most products and services from now on. As of today, Sinar Photography's warranty provisions have changed. Effective immediately, Sinar Photography grants the following warranty terms for its products and services. The starting date for any warranty is the date printed on the respective Sinar Photography invoice that is issued to the Sinar Photography Agency plus 1 (one) month of tolerance. This grace period of 1 month usually covers the time gap between Sinar's shipping date and the date of the sale invoice. Here are the relevant order codes and prices for the three different warranty extension terms. Warranty extensions can only be obtained when ordered together with a digital back. Subsequent ordering is not accepted. D1001 Warranty extension 1st year. D1002 Warranty extension 2nd year. D1003 Warranty extension 3rd year. 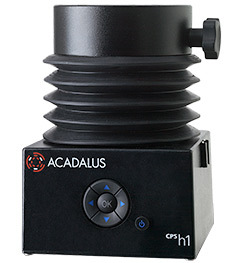 Introducing the Acadalus CPS-h1 Self- Levelling Tripod Head. If your think it's all been done before, think again. The CPS-h1 self-levelling camera head is the brainchild of the team at Acadalus, Carl Koch's new company which is based in Schaffhausen Switzerland. The idea was "Instant levelling and precision camera adjustment at the touch of a button." •	Why waste time fiddling with tripod legs and inaccurate bubble levels? •	Level your camera in seconds with microprocessor-controlled precision and perfect repeatability. •	When your schedule is tight but your shot list isn't—time is money. • The CPS-h1 lets you concentrate on the picture as opposed to making futile attempts to level the tripod. •	Provides a perfectly level platform for panoramic photographers. 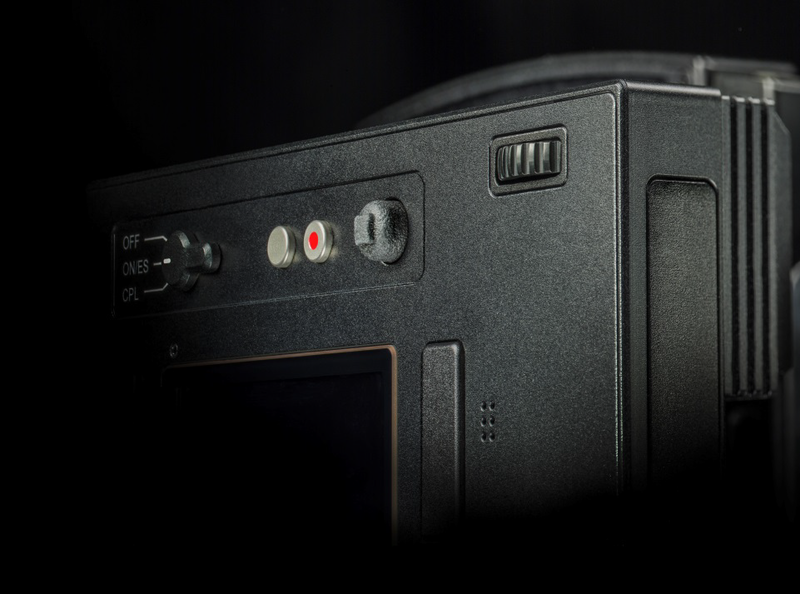 • The precision-machined camera platform features optional 15° click stops. •	Allows for quick setups on uneven ground and in unpredictable locations. •	Expandable system can be mains or battery-powered. •	Camera platform fuctions as a turntable with click stops every 15°, making it great for manual panoramas! CaptureShop 6 is an enhanced version of CaptureShop 5 which now includes native DNG Support . All camera bodies and digital back configurations supported by CaptureShop 5 can be used in CaptureShop 6. The most exciting new feature is the generation of DNG files, which is the new RAW data format for Sinar digital backs. Sinar CaptureShop 6.0 automatically creates DNG files when tethered and this allows you to choose whether post production is performed in CaptureShop as was previously—or rather in perhaps more familiar programs such as Adobe Lightroom, Camera RAW, Capture One or Iridient RAW Developer. Existing Sinar sti files can be converted into DNG's easily, simply File > Save As and a DNG is created. 03/09/2010 — Photokina 2010 NEWS — New Sinar products! Photokina 2010 NEW Sinar Products! Sinar is pleased to introduce a NEW high-end digital capture device suitable for all studio tasks...the NEW Sinarback eVolution86 H.
With 48.8 million pixels resolution, it not only guarantees optimal picture quality and color reproduction, but also allows you to take full advantage of proven efficiency and production cost-savings offered by Sinar's expertise in digital back design and workflow optimisation. The Sinarback eVolution86 H has the same design concept as the eVolution75 H where heat-generating components such as the display, internal memory and CF card hardware were removed entirely. The benefit is superior capture speed and image quality. And because there's no display screen, there's no need to make shoot-presets on the back as this has been handed over to Sinar's CaptureShop application and is managed in software. The back features a FireWire 800 (IEEE 1394B) port connection between camera, digital back and computer which is state-of-the-art for digital data exchange. This not only makes the speed of capturing faster, but also effectively speeds up the device's Live Image display used for composing and focusing the image on the computer monitor. The back features dual Peltier + Fan cooling for optimal continuous operation, even when things hot up during day-long or double-shift studio sessions. And this too impacts positively towards a prolonged service life, which adds value to protect your investment, long after the decision to purchase the Sinarback was made. In 1-shot mode, the Sinarback eVolution86 H has an image file size (RAW) of 105 MB. In 4-shot mode, the image file-size is 290MB thanks to the controlled piezo-electric shifting of the Bayer array which provides greater colour resolution and hence more real or truely sampled data—which effectively elliminates the incidence of colour moiré. Four-shot mode provides superior image quality which is easily seen in areas of fine patterned detail such as fabrics with weave or patterns, or perhaps when photographing screened originals as seen on packaging. Another major benefit is that colours are more accurate and faithful—plus colours and neutrals alike are uniformly more even. Actually, one-shot devices simply can't be as good because they lack the superior colour resolution present in four-shot devices and this profoundly improves image quality...but of course it must be a static subject! Please make an appointment to come by and see the difference for yourself—seeing is believing! Please note that the Sinarback eVolution75 H is now also delivered in a cardboard box. The reason for the change is that many customers don’t use the hard case once the Sinarback eVolution has been installed onto their camera system. The offical introduction to the market was during Photokina in Cologne from September 21st to 26th, 2010. 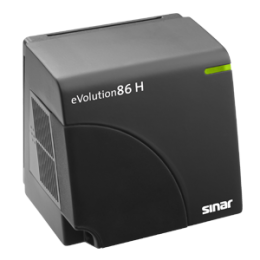 The first shipment of the Sinarback eVolution86 H was received late last year. • Prices are subject to variation without notice. I'm delighted to announce that Sinar will continue their previous Upgrade Promotion introduced in May, 2010. Better still, the promotion now includes the NEW Sinarback eVolution86 H as well. • I require a purchase order in writing please. • The item for upgrade/trade-in must be shown to operate without issue and be ready for collection when the new device is delivered. • The digital camera back or DSLR + lens must be complete and in working condition. No exceptions please! • Your payment in full is required at the time your new device is delivered. To operate the Sinarback eVolution86 H the NEW Sinar CaptureShop 6 is required. Please be aware that the Sinarback eSprit 65LV, Sinar Hy6 65 and Hy6-s65r still need Sinar eXposure Software 7.0.5. Sinar will discontinue the eXposure software and all future efforts regarding implementation of new digital backs and development of new features will happen only in Sinar CaptureShop! During the Photokina exhibition in Cologne (September 21st to 26th, 2010) Sinar will introduce a new shutter system to the market for the first time. The integrated micro-processor controllers guarantee precise settings and very fast exposure times up to 1/250 sec when working with view cameras such as a Sinar p3. The shutter technology uses 7 blades instead of 5 blades which is absolutely unique and this leads to a nearly circular diaphragm opening. It's built using ultra-modern components and electronics which makes for a very compact and light-weight unit that's suitable for use on numerous camera types. 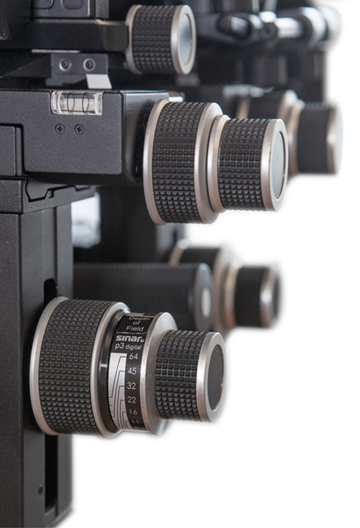 The Sinar eShutter is completely integrated into the modular Sinar System. Thanks to its open architecture it can also be used with third-party camera systems. And something entirely new is its integration with wide-spread communication tools such as Apple’s iPhone, iPad and iPod Touch making its operation not only intuitive but also superbly reliable, efficient and modern. More information will be available at Photokina 2010 and when the product is eventualy released in 2011. Under certain circumstances, some images get corrupted when stored on CF cards. Sinar Photography announces the NEW Sinar p SLR —Sinar p advantages now available to users of 35 mm D-SLR cameras! The Sinar p name is synonymous with Swiss cameras that are known for their quality and precision which provide unique features to simply make picture-making easier. The Sinar p is a tool which helps concentrate your thoughts on the image itself—rather than on the intricacies involved in setting up the camera. And it may be suggested this provides you with some additional creative freedom in the realisation of your images. The Sinar p SLR was developed especially for photographers who wish to persue the unique advantages and quality characteristics of the Sinar view camera— when using their D-SLR reflex camera! The Sinar p SLR can be used with all current Professional digital single lens reflex cameras from Nikon and Canon. 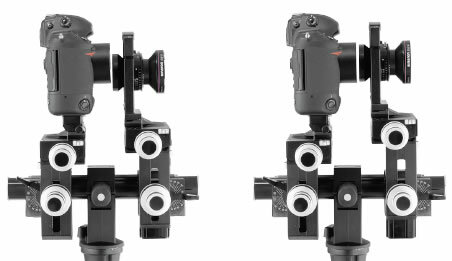 And thanks to the quick clamping adapter which is included in the set (you may already know it from the Sinar m system), the change from vertical to horizontal format can be performed with effortless ease within a few seconds. 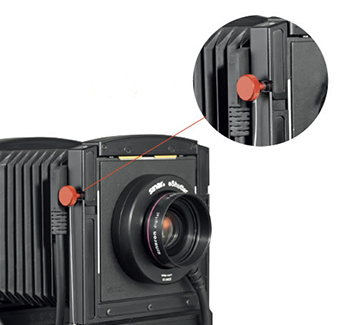 When the single lens reflex camera is connected directly to the computer via USB or FireWire, the integrated strain-relief provides safety when working in protecting the USB / FireWire socket of the camera. A Positioning and Centring aid serves in setting the exact positioning of the digital single lens reflex camera on the optical axis. This ensures that the sensor of the digital camera is positioned perfectly for both vertical as well as horizontal format settings. And the conversion to a digital back—available from Sinar or other makers—is accomplished quickly and easily by means of one of the many adapter solutions available. 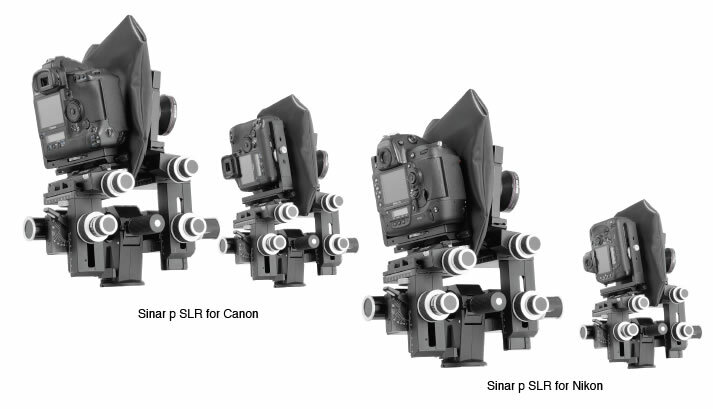 And equally, thanks to the universal Quick Clamping Adapter, conversions from an existing Digital Back configuration to the Sinar p SLR configuration is easy, using the various components and is performed within a relatively short time. The Sinar p SLR continues Sinar's tradition of offering Photographers a universal modular system in keeping with the latest trends. All come packed in cardboard boxes. Availability: August/September 2010, pre-orders welcome. Prices subject to variation without notice due to unforeseen currency fluctuations. Canon or Nikon D-SLR camera not included. 01/06/2010 — Third-Party Digital Backs — Now compatible with Sinar p3! Third-party digital backs now compatible with Sinar p3! The Sinar p3 RV has been specially designed and developed for users of NON-Sinar digital backs. The Rear Carrier Frame has been modified in a way which allows users of third-party, NON-Sinar digital backs, to take advantage of the unique feature of yaw-free movements located precisely in the CCD plane. Compromises in focusing accuracy will be a thing of the past! Hasselblad V, Hasselblad H1/H2 and Mamiya 645 AFD. Of course this solution is already implemented for use with Sinar digital backs. The use of the new Sinar RV adaptation possibilities calls for focusing by live image. On the other hand, if one prefers to use a focusing screen, the well-designed Sinar sliding adapter solutions are a viable alternative. • Prices subject to variation due to unforeseen currency fluctuations. We're pleased to announce a time-limited trade-up promotion to the wonderful Sinarback eVolution 75H Multi-shot back. The offer applies to users of digital backs, regardless of manufacturer—but also to users of D-SLR's! • The item for trade-in must arrive at Capture Scan Print with your purchase order. • The digital camera back or DSLR + lens must be complete and in working condition. • Your payment in full is required at the time your eVolution back is delivered. • An installation fee applies—subject to location. A memory leak in the firewire driver was found and remedied. We strongly recommend that existing users of Sinar eXposure 7.04 and older upgrade to this version. processors with Mac OS 10.5.8, 10.6.3 and higher. Any feedback and comments are welcome at any time. New Sinar CaptureShop 5.6.6 – Now available for Download We strongly recommend that existing users of Sinar CaptureShop 5.6.5 and older, upgrade to this version. • A memory leak was remedied in the firewire driver. • Resolved minor problems to ensure enhanced stability. 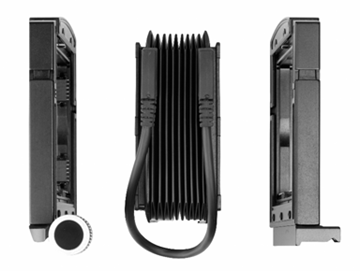 • Sinarback 22, 23, 44, 54 Fibre optic — only on Power Mac G4 with Sinar PCI/PCI RAM Card or Powerbook G3, G4 with Sinar Unplugged Box or G5 first generation equipped with PCI-X card slots using PCI 133 / 333 card. For further technical questions please contact us. 01/05/2010 — New Sinarback eSprit65 Promotion — $12,995.00 with adapter! 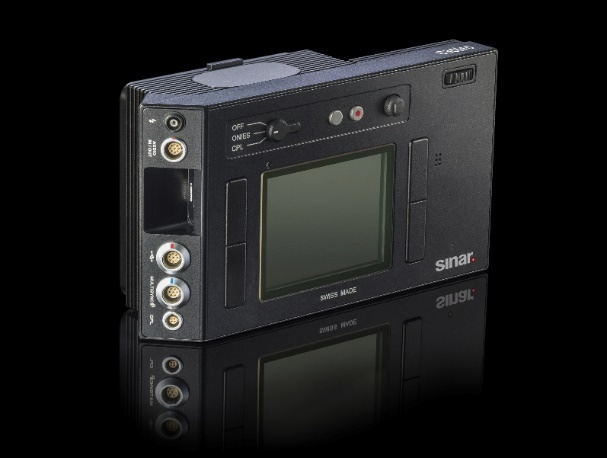 The Sinarback eSprit 65 is the ONLY digital back in the world which generates native DNG format files whilst shooting. And native DNG support makes the Sinarback eSprit65 compatible with both Windows and Mac computers when using programs such as Adobe Photoshop, Lightroom, Bridge or Apple Aperture. 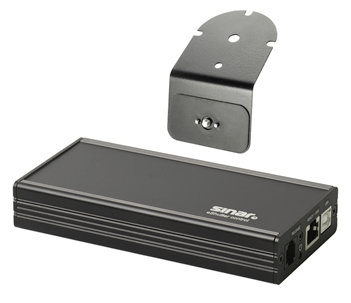 The Sinarback eSprit promotional price includes one adapter kit for either HB-H, HB-V or M645AFD. Promotional prices available only until June 30th, 2010. Prices may be subject to variation due to unforeseen exchange rate variation. With the Sinarback eSprit 65 LV, images are captured with a 31 million pixel CCD sensor with an imaging area that is almost twice the size of a full-frame 35 mm camera system. Thanks to their QCIP technology (QuadCore Image Processing), the Sinarback eSprit 65 LV is the first digital back with fully integrated digital image processing on board. Image processing settings such as contrast, saturation, and noise suppression can be set directly on the digital back for fast and easy processing of the captured images. The high-speed data transfer of the Sinarback eSprit 65 LV allows you to take pictures at fast capturing rates and store them to CF card in DNG, DNG compressed, Sinar RAW, and JPEG format. On top of that, for the best capturing performance and image quality, the Sinarback eSprit 65 LV also supports the well-proven Sinar RAW file format. Alternatively, two image file formats DNG+JPEG or RAW+JPEG can be stored simultaneously. JPEG images can be stored in four different file sizes and two compression rates. Thus, you can send low-resolution JPEG's to the art director or agency immediately after the shoot and process the selected high-resolution images later on. To ensure a reliable and speedy data storage a very fast Sandisk Extreme IV CF Card of 4 GB with UDMA technology (Ultra-Direct Memory Access) is included in the scope of delivery of the Sinarback eSprit 65 LV. To match the capability of this CF card a fast CF Card reader is included as well. Sinar also offers the innovations of the Sinar Hy6-s65r to photographers who need maximum flexibility in using their equipment. Thanks to a set of interchangeable adapters, the innovative features of the Sinarback eSprit 65 LV are available not only in combination with the Sinar Hy6 camera but also with other camera bodies (Hasselblad V 500 series, Hasselblad H1/H2, Mamiya 645 AFD I/II). Hence, the photographer can flexibly choose their equipment according to the requirements of the current job, simply by changing the adapter plate. 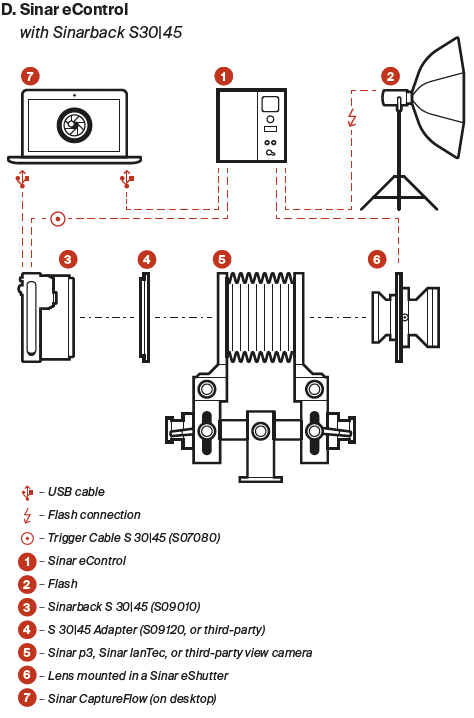 The Adapter kits required to attach the Sinarback eSprit 65 LV to the above-mentioned cameras are the same as those already used for the adaptation of the Sinarback eMotion. Due to the fact that the Sinarback eSprit 65 LV is equipped with so-called micro-lenses it is not well-suited to be used with a view camera or other cameras with swing and tilt capability. 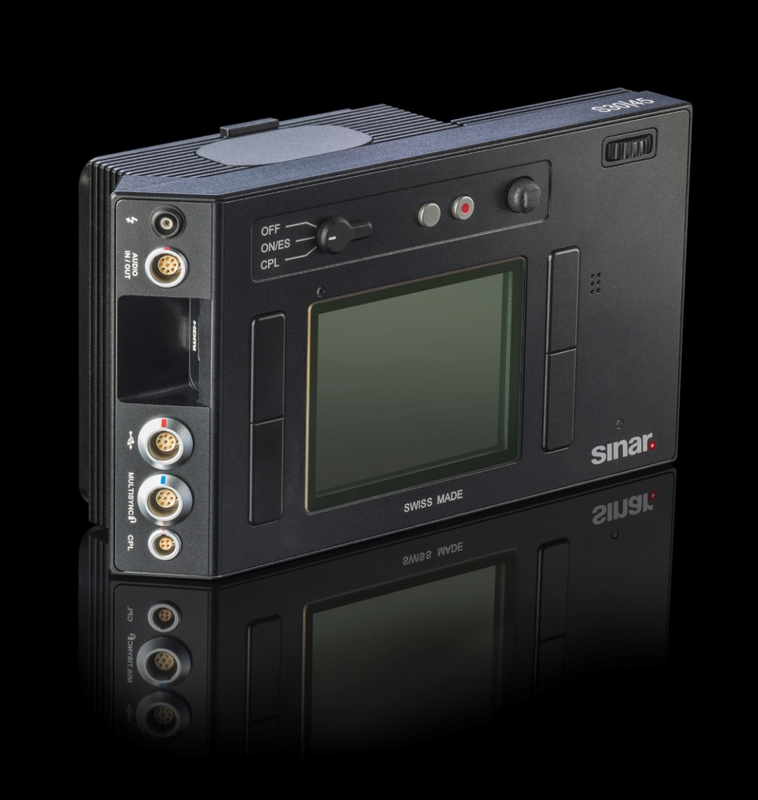 The well-received Sinar eXposure™ software – a professional application designed to capture, manage, and process high-quality digital images that is available for Apple Mac OS based computer systems – offers a seamless system integration, allowing you to also control your Sinar Hy6 digital camera and the Sinar digital back remotely. Because Sinar eXposure™ stores images in the standardized Adobe DNG file format, it fits seamlessly into your desired workflow, allowing you to use the software package of your choice to manage and process your images. Sinarback eSprit65, Camera adapter, 4GB CF card, Sinar V290 battery, Battery Charger. Other accessories must be ordered separately as required. For more information or to make a purchase, please contact us. Sinar Photography releases Sinar CaptureShop™ version 5.6.5 software. • Color Calibration now applicable for all types of Sinarbacks. • Neutral and Info Picker Size now adjustable. first generation equipped with PCI-X card slots using PCI 133 / 333 card. Sinar Photography releases Sinar eXposure™version 7.0.3 software. For more information, the release notes can be found here. Here's a link to the download. a. The Sinarback 54 M/MC is now fully supported. The issue when installing the CCD files from the CD for the Sinarback 54 M/MC has been resolved. For further information, details and restrictions for these cameras, please consult the ReadMe file of the Sinarback eSprit Firmware 1.041. For further important information, restrictions and known bugs, please refer to the ReadMe files included with the updaters—before commiting it to mission critical operation! 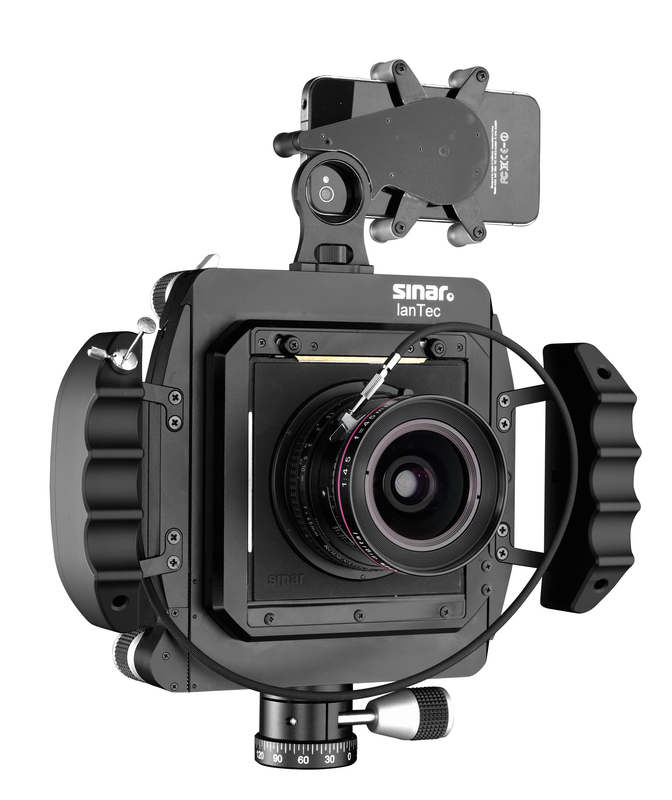 Sinar Photography realised one of their stated objectives today in announcing the Sinar arTec system as a truly open camera platform for third party digital backs. Photographers using digital backs from other makers are no longer excluded! Whether you're an Architectural, Landscape, Interior, Industrial or Fine-Art Photographer and use a third-party digital back with Hasselblad-V, Hasselblad H or Mamiya 645 AF/AFD interface—the Sinar arTec platform is now fully accessible to you and your choice of digital back! The Sinar arTec Hy6 and Sinar arTec HB-V have dedicated and unique sliding plates. The Sinar arTec HB-H and Sinar arTec M645 use the same sliding plate with interchangeable interface plates for Hasselblad H or Mamiya 645 AF/AFD platforms. 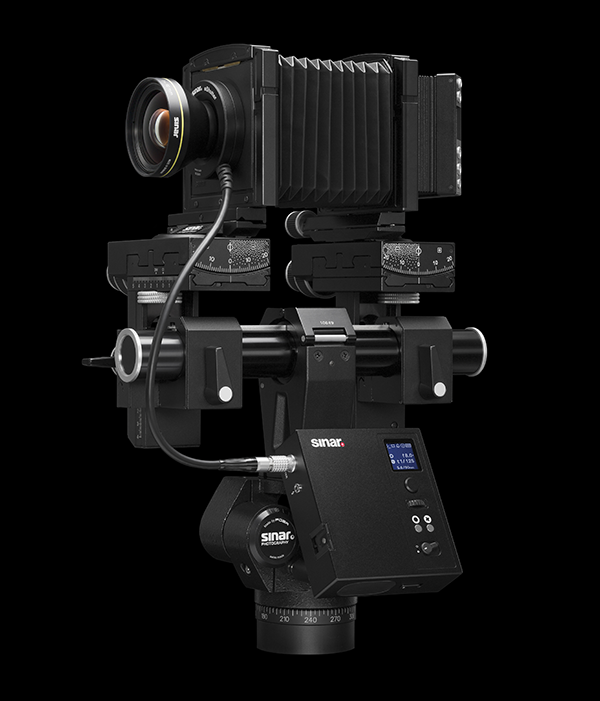 So when ordering, say the Sinar arTec HB-H plus an additional Mamiya 645 Interface plate, one Sinar arTec camera can now be used with two brands of digital back! The Sinar arTec is based on the use of a unique sliding adapter, which enables accurate focusing and 100% safe and dust-free operation. 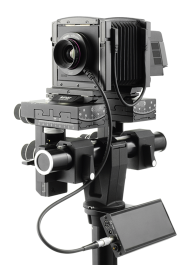 The digital back stays mounted whilst changing from composing to shooting position, making the Sinar arTec unique in the market with their truly professional, safe and convenient workflow. There are no competitors offering similar operational advantages. Swiss mechanical accuracy and high precision adjustments for the image plane guarantee that precise focus is exactly at the chosen position. And all lenses are mounted and calibrated to perfection in the factory! The included precision and adjustable focusing magnifier enables exact focusing—just like in the film days. 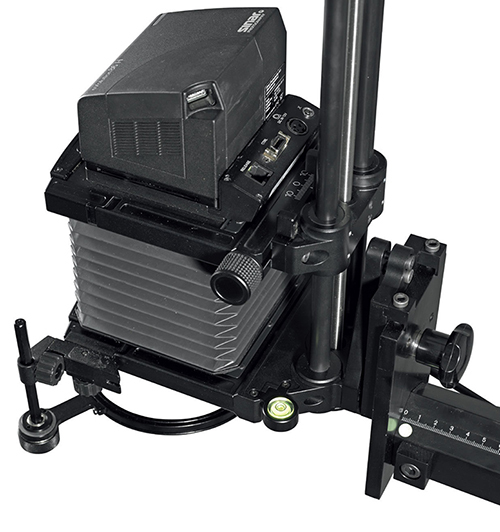 The integrated Fresnel ground glass is very bright and is therefore ideal for composing and focusing. For outdoor shooting live view is not required. Three different format masks deliver the exact image crop matching the various high resolution CCD's available. (22MP, 33MP. 39MP, 50MP, 56MP, 60MP). Format masks are included! Vertical correction is achieved by shifting the lens and image circle. (Rise & fall) . 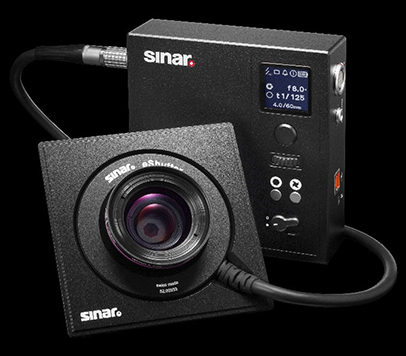 While other camera manufacturers offer lower cost solutions at first glance, Sinar offers a complete solution including better overall functionality. Few additional accessories are needed when buying the Sinar arTec. For tilting, a self-locking micro drive is used. 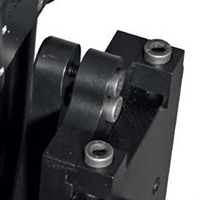 To set a horizontal swing, the lens carrier frame can be rotated in a step-less manner through 360°. In high-quality photography, detail sharpness and image quality is the prime reason to buy a large format system instead of a D-SLR. Only large format lenses—and specifically the HR-series—have the ability to reproduce the extreme resolution demands of the highest resolution digital backs available today. arTec Promotional offers — only available until April 30th, 2010. Sinar Photography releases CaptureShop™version 5.6.4 software. A new Firewire driver has been implemented. Please link to the Sinar Photography web site to download. 09/11/2009 — Sinar eXposure™ 7.0.1 Software Released! Sinar Photography releases version 7.0.1 of Sinar eXposure™ software. The new version adds welcome support for Mac OS 10.6.x Snow Leopard along with several additional improvements. Please link to the Sinar Photography web site to download and for more information. 07/10/2009 — Sinar Photography — Start-up Deals Announced! Sinar Photography Announces stunning value start-up deals! Includes TWO-YEAR Sinar Warranty ! Special prices extended, however, all offers are subject to availability. Offer can't be combined with any other promotions. Three-lens kits include 50, 80 & 180mm AFD lenses. 16/09/2009 — The NEW Sinar Announced! 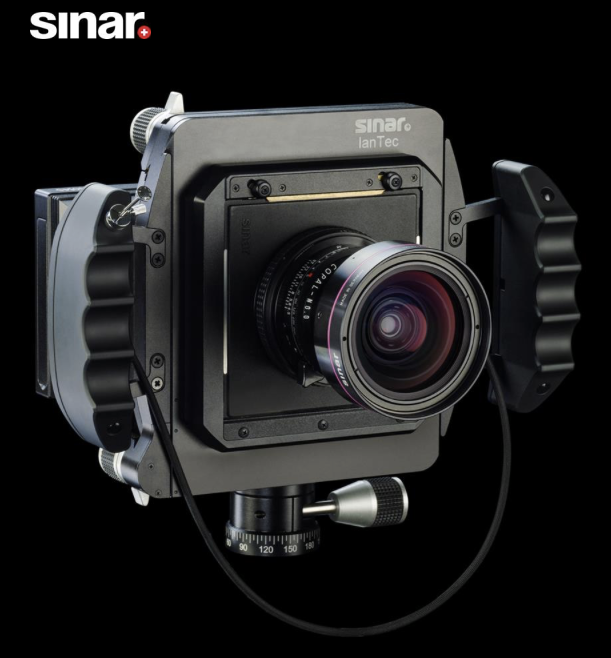 Sinar – brand and embodiment of modular analogue and digital system solutions for professional photography. production now operates under the name Femron AG (http://www.femron.ch/). 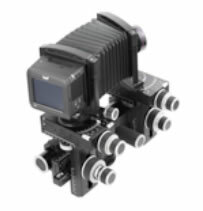 Femron will continue to produce the mechanical cameras and accessories for Sinar Photography. 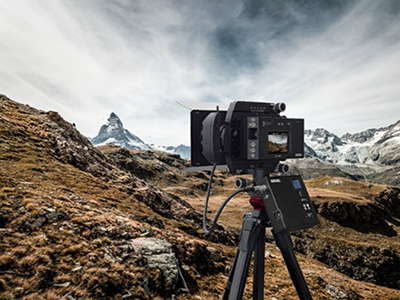 The German and Swiss markets will be served directly by Sinar Photography from Switzerland, with support from an existing service, repair and sales office in the Hamburg region. Additional sales support offices will be announced shortly. Sinar Photography will continue to provide professional and expert service for its customers. Service and support for the current Sinar product range are also guaranteed for the future with the new firm Sinar Photography, including the repair, warranty and guarantee service for Sinar view camera systems, the digital backs and the Hy6 and Sinar m medium-format camera systems. The ongoing product development at Sinar Photography will focus predominantly on the tried-and-tested analogue and digital camera systems. This includes the digital backs, the globally renowned Sinar view cameras for studio applications, and the specialist cameras for architecture and document photography. 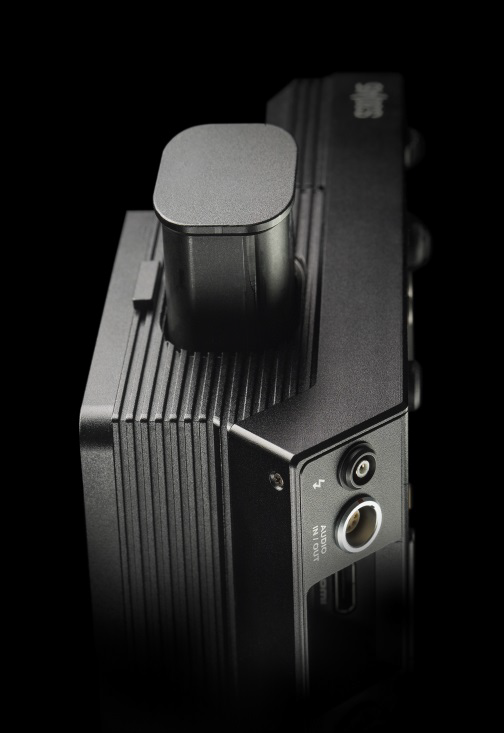 The continuation of the Hy6 medium-format camera is currently under negotiation, but the existing business alliance guarantees long-term technical support. The Sinar eXposure software, which generates DNG files and has a unique shading function specially for architecture photography, will also be continued by Sinar Photography. The declared goals include opening up the Sinar camera platforms further for the attachment of third-party backs. 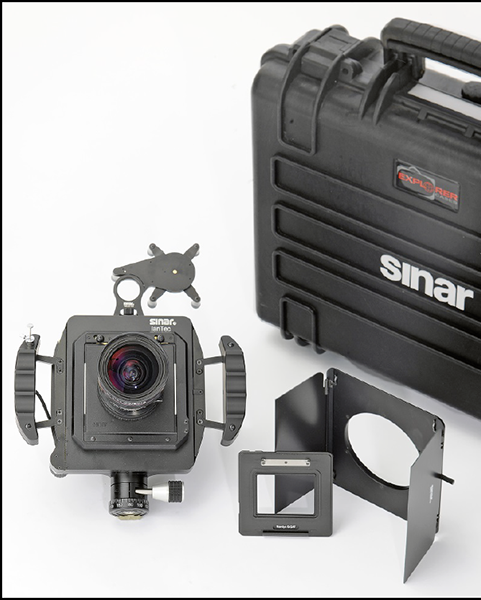 The Sinar products will continue to be sold worldwide via the established and proven distribution channels. On August 28th 2009 Apple's new Mac OS X Snow Leopard was released. Please do NOT use the above programs with Snow Leopard! There are some incompatibilities between Snow Leopard, Sinar CaptureShop™ 5.6.3 and Sinar eXposure™ 6.2 and so for the time being we recommend you continue using the above applications with the previous version of Mac OS X — Leopard 10.5.x. News about an updated version will be posted here or on Sinar's site when available. Here's a great opportunity to purchase an affordable digital view camera solution which is equally capable on-location or in the studio. This bundled offer represents truly excellent value for a kit such as this—with savings in the order of 25% on top of our existing heavily reduced prices. The Sinar f3 Digital View Camera provides you with a wonderfully portable and highly versatile outfit that allows you to capture images without the need for a computer, software or any external power supply—making it ideal for location shooting. Featuring the excellent Sinarback eMotion 54 LV with 6GB memory, it can easily store many hundreds of images internally. However, the eMotion 54LV also includes a CF card slot for truly unlimited storage capacity. And because this system's only power-reliant item is the eMotion back itself, the entire system can operate on a full charge—for at least one full day's work—thanks to the included Sinar 2400 mAh V290 battery. For studio use—for those wanting to add the additional capability of "image management" to their shooting expertise—the Sinar f3 provides you with full sharpness and perspective controls—thanks to its amazing Sinar view camera heritage. And the 54 LV back also provides the additional feature of "Live Image" focusing—which is ideal when shooting in controlled light indoors and with the back tethered to a Mac computer running Sinar's eXposure software. This offer is valid from September 1 to November 30, 2009, or while stock lasts. Sorry, the bundled kit's contents cannot be altered. If you're unaware of just how good it gets when printing your own images with a RIP such as Imageprint, the release of version 8.0 provides even more compelling reasons to consider doing so. More information about the wonderful features of Imageprint and NEW features introduced in Version 8.0, can be found here. The Sinar arTec camera system was enhanced today with the introduction of the arTec Lens Shade. When a lens is used without a lens shade, extraneous, or non-image-forming light can cause undesired internal reflections resulting in a noticeable reduction in contrast. A lens shade therefore is not a luxury in professional photography; it is mandatory for best results! Sinar is now offering the Artec Lens Shade 493.23.041 which can be directly mounted onto the lens by means of the proven Sinar filter thread adapter ring system. With this system, the lens hood can easily be rotated and set to the desired position. 07/07/2009 — ArTec Sales Success Exceeds Expectations! Mr. Erich Frefel, Sinar’s marketing Manager, let us know today that orders exceeding all forecasts have placed the arTec camera and many lenses into a backorder situation. This is a temporary situation which of course is no surprise to us at Capture Scan Print! Indeed, we too are enjoying the use and success of the arTec camera as much as our clients do! Maybe it’s the inherent design of the arTec that’s reason enough to want one? This is a camera conceived around a sliding back—with integrated ground glass screen and 3x magnifier—which in turn offers you image management tools employing Rise & Fall, Lateral Shift and of course Tilts & Swings...and with all lenses! In addition there’s lens support from 23mm to 135mm in familiar and friendly Copal mechanical shutters with silky-smooth and precise helical focusing mounts. And if that isn’t enough reasons to consider buying one of these cameras, the “icing on the cake” is the addition of such an intuitive and well-conceived software workflow which entirely eliminates lens casts and centrefold issues—and which optionally gives you control over the degree of illumination or edge fall-off—as required for each image’s preconceived tonal balance. With features like that, it's easy to see why we like it—and we like it a lot! Normal deliveries are expected again in September. Therefore the sooner you place your order—the sooner you’ll receive your camera. For those who have placed orders, we thank you for your patience and confidence in choosing Sinar arTec. We assure you the wait will be well worthwhile as we’re absolutely convinced the arTec represents a true Sinar experience, as usual. And finally, we confirm that we expect this situation to be only a temporary issue affecting immediate supply of the Sinar arTec—which ironically is a consequence of the camera’s success! 01/07/2009 — Sinar digital backs and cameras more affordable than ever! Effective today, Sinar introduces a new round of price reductions—combined with their latest trade-in offers—to make owning a new Sinar camera and/or digital back more affordable than ever. Prices start from A$14,400.00 inc GST. 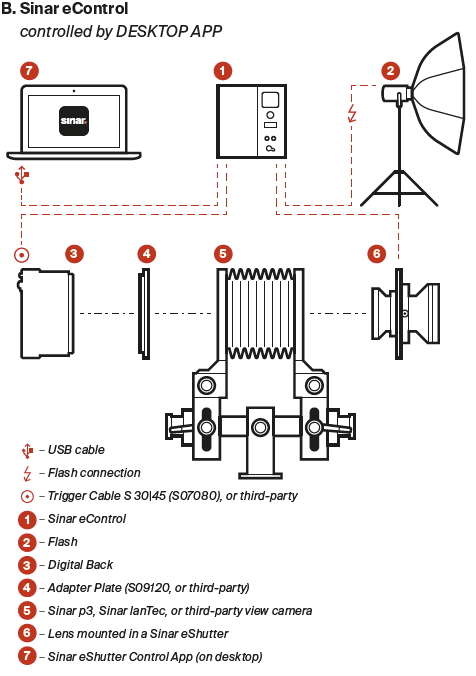 A downloadable PDF price list for digital backs and camera kits can be found here. Details of the new trade-in offers are here. Conditions apply and warning that certain items may be in limited supply. Small businesses will now be able to claim a bonus tax deduction of 50 per cent - up from 30 per cent previously of the cost of eligible assets acquired between 13 December 2008 and 31 December 2009, and installed by 31 December 2010. For more information, the entire article can be found here. A new version of Sinar's eXposure™ software version 6.2.0 has been released and is available for download from this site — or from Sinar's site after you register. – A new user configurable Noise-reduction filter has been implemented. – A "Session" tool has been implemented that allows naming a new capturing session in advance. – A new "Zoom slider" has been implemented in the toolbox allowing either a quick zooming in an opened image or, alternatively, to freely scale the size of the thumbnails of the Contact sheet. – A new "Detail" widget has been introduced. This allows performing everything that can also be done in the full image (except selecting a crop), but quicker. – The Live image is now displayed in a separate widget and can be moved at will. – The incompatibility issue that existed with the drivers when a Sinarback 54 MC/M was operated with Sinar CaptureShop™ when Sinar eXposure™ was also installed on the same computer has been resolved. – The Graphical user interface has been given a new look and some problems occurring with the current look have been solved. For a list of all changes and further information regarding Sinar eXposure 6.2.0, please refer to the ReadMe file which is also included within the installer. (Sinar arTec HY6 + Sinarback eMotion 75 LV + Revolving Adapter + Sinaron Digital HR 4.0/35mm CEF Lens + case. (Sinar arTec HB-V + Sinarback eMotion 75 LV + eMotion HB-V Adapter + Sinaron Digital HR 4.0/35mm CEF Lens + case. Sinar's statement concerning the Franke & Heidecke situation. Effective today, Sinar AG appoints Capture Scan Print as sole Australian representative and distributor for the full range of Sinar products. Capture Scan Print is owned and operated by Mr. David Kay. Sinar AG has collaborated with David Kay concerning the entire Sinar product range—from Film to Digital—for more than 18-years through his association with Baltronics. Over this time David built a reputation for advice and expert support which assures us, and our customers, of the continuation of a standard of service in keeping with Sinar's expectations. ...as well as the infamous sense of humour...oh dear, there had to still be something negative in this digital age. Please feel free to contact Capture Scan Print to discuss your requirements. For transparent originals there are two methods of scanning; DRY-mounted and WET-mounted. The image-quality differences–plus some additional features found in the Kodak Supreme scanners we use—can be seen here. Scanning resolutions supported up to 5600 dpi optical for all formats. All scans scanned at the requested optical resolution—never interpolated. Scans supplied as 16-bit per-channel RGB tif files. Black & White images scanned as RGB positives. The entire image range is usually digitised without clipping—making these superb scans for subsequent editing and creative tonal refinement! All scans produced in a fully colour-managed ICC workflow. The Kodak oXYgenScan scanning software is set up to convert from the scanner's input profile to an L* perceptually linear workspace profile. Currently we're using Chrome Space 100 (J. Holmes). More information about Joe's excellent profiles can be found at here. In the event another workspace profile is preferred, such as eciRGB_v2—which is better suited for use in jobs destined for the Print-Publishing industry, please indicate your preference when ordering. Print-ready scans available, however, additional charges apply and we'll need to know your specifications for output when ordering. Perhaps you'd like to order both Scanning and Printing for your entire edition or show? For any other custom scanning or special requirements—please contact us. Image-Editing and print optimisation Service available at the per-hour cost of $100.00, minimum 30 minutes. To order scans, please download this order form and send it in with your photographs and payment to the address indicated. For transparent scans, please be sure to specify the correct order code to differentiate whether it’s DRY or WET that are required. A flat charge of $15.00 applies for CD or DVD preparation per order. Courier charges or postage fees, passed on at cost. Discounts offered for volume jobs, please contact us. It is necessary for you to make adjustments to optimise the supplied files for printing. The scans are intended to be full-range with more editing headroom than scans which have had end-points set and possibly data clipped. Basic dust and scratch retouching is required, less so for fluid mount scans. We endeavour to produce the most colour-accurate raw scans possible—not usually an issue for scans made from transparencies—as the transparency serves as a reference, however, this is not always the case for scans made from colour negatives—especially when there are no memory colours present in the image. Since the scanner operator wasn't present at the scene when the picture was made supplying a print or proof sheet to be used as reference with colour negatives is an advantage. Please advise if this presents a problem to you. Scanning resolutions of 600 & 1200 PPI offered. Resolutions up to 5600 ppi optical are supported for smaller sections. All scans produced in a fully colour-managed ICC workflow and supplied as 16-bit per-channel RGB tif files. Full-range positive-mode reflective scans up to a maximum density of 4.0—to easily encompass the range of reflective originals. These scans are superb for subsequent editing and tonal refinement! The Kodak oXYgenScan scanning software is set up to convert from the scanner's input profile to an L* perceptually linear workspace profile. The one we're currently using is Chrome Space 100 (J. Holmes). More information about Joe's excellent profiles can be found here. However, in the event another workspace profile is preferred, such as eciRGB_v2—which is better suited for use in jobs destined for the print publishing industry, please notify us in advance of your preference. Printed with the Epson 11880 Printer using Epson's Ultrachrome K3 Vivid Magenta ink set supporting dual black-ink modes for both Glossy and Matt media types. This service uses Custom Media Profiles made with either a Gretag Macbeth Spectroscan, ISIS or Eye-One Spectrophotometer. Highest patch-count targets used to make glossy media profiles. Printable Width up to 59.5" (1511.3 cm)—subject to media availability. Maximum Print Length up to 1000" or 25.4 metres—subject to media availability. Additional charges may apply to optimise files for printing. Fast-track your knowledge on the many technical aspects and processes involved in Photography and Digital Imaging. Specific courses can be tailored to fill gaps in your knowledge—to clarify and enhance your imaging competence—and to provide inspiration for your creative and artistic endeavours. Please contact us for more information and to discuss your requirements. We use the X-Rite Eye-One iSis Spectrophotometer to build your custom output profiles. The Isis makes two measurements—one with and one without UV filter. The device uses a new LED light source which is very effective at dealing with fluorescent or optical brightening agents (OBA's) present in many ink jet papers. We use Bill Atkinson's custom profile targets. You print the targets—we measure the prints and create a custom ICC profile for you to use in any ColorSync/ICC/ICM aware application. Profiles are suitable for use with either Macintosh or Windows platforms. Simply download the appropriate target files with instructions. use this one-page BA_RGB_IsisTarget_1P_A3 target. You may need to Option (Mac) / Alt (Win) + click the above links for the download to commence. The files are Zipped for Macintosh or Windows users. In the event you have problems extracting/unzipping the files, please download and install the latest version of StuffIt Expander for Mac & Windows. Please confirm all your inks are firing! It's important to perform a head clean, nozzle check and head alignment before printing the targets. The color patches should print as a solid clean color. Do not alter data in the target files in any way. The files must be printed at their 100% original size as per the download—even if you get a warning from your printer that clipping may occur. They are 16-bit mode files. I recommend you use the included type layer to label the targets using Photoshop's type tool. If necessary, you can resample to 8-bit mode for printing should your printer driver NOT support 16-bit files. Do not assign a profile or a workspace. When the target(s) are opened in Photoshop, a "Missing Profile" warning may be triggered which asks "What would you like to do?" Please be sure you; "Leave as is (don't color manage) "
Opening the targets in Photoshop "unmanaged" is the first step. However, and perhaps equally important is " what specific driver settings do you intend to use for the printer and media at hand." Of course this varies from printer manufacturer to printer manufacturer —as each driver is different and each company has their own range of generic media types such as matt, glossy & fine art. However, what's important to understand is that printer driver settings control the volume of ink delivered—which black ink will be used—the dithering / quality / print speed settings and the paper thickness settings of the driver. I highly recommend you refer to the paper manufacturer's technical data sheet in advance of printing targets in order to determine which printer maker's media is the equivalent for the media you want to profile! For example; if you were profiling a smooth Canson Rag Photographique 310 gsm sheet stock, an appropriate choice on an Epson printer would be "Epson Ultrasmooth Fine Art Sheet"—and NOT a glossy media type such as Epson Premium Glossy in which case the driver would use the wrong black ink resulting in a lesser quality profile. I highly recommend using "no color adjustment" or " no color management" settings—or their equivalent in the printer driver! I also suggest you save the settings to a preset labeled for your specific media. Doing so makes recalling these important settings a breese and importantly—consistent. The printer must remain set to the settings used to print the test targets—without any colour management—and without any automatic adjustment! Doing so almost guarantees the driver will alter your data when the purpose is to set up the driver and keep it consistent so the printer can be profiled. The printout(s) should not crop the lines of black triangles on each side of the target(s). The lines of black triangles should be approximately 203mm side to side when printed. Please allow the targets to dry, in a dark place—say in a large box or drawer to stabilise for an entire day. Send us the printed targets. I recommend interleaving with tissue paper or the like. Please make sure the prints don't rattle around where they could scuff together making them useless if damaged. Please send the targets without folding them—or you could damage the printed patches! The patches must be clean and clear. And please be sure to add your Email address so we can send the custom profile(s) to you upon completion. Please pay in advance with PayPal via the Payments link on the menu bar. Direct deposits accepted—account details can be found here. Please note the following about delivery and turn-around times. Profiles are usually built within 48 hours of receipt. We're in an Australia Post region for Next Day delivery. For any remaining questions, please contact us. We use the Eye-One Pro Spectrophotometer or the Eye-One Display 2 Colorimeter to build your custom Display profile. * As this service is conducted on-site, travelling expenses may be incurred. Please contact us to determine the total cost based on your location.